In 2016, scientists announced that the hole in ozone layer has shrunk by 1.7 million square miles and that by the year 2050 it would be completely covered. This piece of good news indicated a huge success and served as clear evidence that through collective effort and sustainable pro-environment legislation, pollution levels could be kept in check. Nevertheless, the shrinkage of the hole in the ozone layer does not mean that climate change and environmental decline halted. Unfortunately, they are at an all time high. The latest findings reveal that Greenland ice is melting at alarming levels and environmental groups point out that wildlife protection should be a given higher priority. In light of the fact that certain world powers have reduced funding for climate change research even downright denied its existence, the average responsible citizen wonders what can be done at a personal level and why such a small effort matters at all. The good news is that it does. If everyone made a few lifestyle changes, the results would be visible in a couple of years. All the overwhelming evidence for environmental decline might be discouraging, but it is never too late to take action and get involved in saving the planet, one small change at a time. One of the main causes of global warming is that we emit too many gases responsible for the greenhouse effect. Not only do these decrease air quality, but also lead to a rise in temperature levels. So, what can you do to reduce your carbon footprint? Our modern existence relies of electrical appliances and giving them all up would be drastic and unpractical. Fortunately, you don’t have to, because quality standards have changed and there is a huge difference between what our parents used and what we use now. 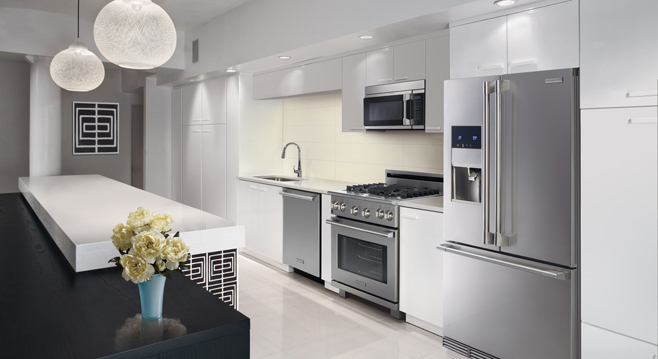 Today’s appliances are made with eco-friendliness in mind and they cause less emissions that older ones. So, if you are still using an old fridge, cooker or heater, consider replacing it with one that has A+ energy efficiency. It works better, consumes less electricity and helps the planet in the long run. Paying thousands for high-end appliances is of no help for the planet if they work 24/7. Insulation can help change that. Experts at gni.ca inform homeowners that a well insulated house locks in heat, which increases home comfort and reduces the need for electrical appliances. Uninsulated houses have small cracks around windows and doors, sometimes even in the roof or in the attic and heat exchange occurs through those cracks which might not even be observed with the naked eye. As a result, you can never get the right temperature; it’s too hot in the summer and too cold in the winter, so some kind of HVAC appliance must always be turned on. This increases energy bills and releases many emissions into the air. But, if you insulate your house, this transfer no longer occurs. You can have a comfortable temperature all year round and only turn on appliances every once in a while. Waste and pollution are very dangerous for the ecosystem and can cause the extinction of many endangered species. Although you might not be aware, some modern products and habits can increase waste and pollution, so here’s what you can do. Everyday things such as window cleaner and detergent can cause pollution if they are made using toxic or harsh chemicals, so you should try and switch to gentler formulas where possible. eco-friendly products are less readily available, but the search is worth it. If saving the planet is not a good enough incentive, then keep in mind that harsh chemicals are equally harmful for your health. For example, the innocent looking beaded face scrub can end up in the sea and back into our plates if we eat seafood. The amount of toxic waste that humans produce is incredible and there have never been more awareness campaigns for recycling. Instead of using one trash can for everything, use several smaller ones and sort your trash based on its type. 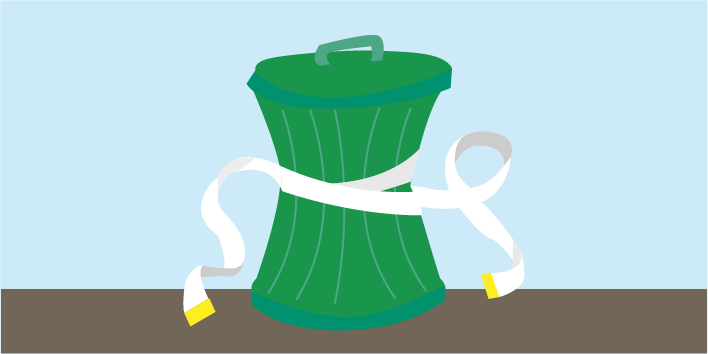 Dispose of waste responsibly and always call your local recycling service to get rid of broken or old appliances. Last, but not least, re-use when possible and encourage the entire family to embrace upcycling rather than consumerism. Plots of land where nothing has previously been developed on are quite rare these days, especially in urban areas. No matter if the land is purchased for farming or house building, checking the soil for contamination is extremely important, in order to avoid hazardous chemicals from coming in contact with anything that’s being developed on in or in the nearby sites. Up until recent years, environmental laws were more relaxed and it was not uncommon for waste was dumped close to where the products were used. Chemicals can persist in the soil for decades and can be really dangerous, especially if it comes in contact with crops or animals. Fortunately, there are multiple solutions that have been developed to treat the soil and restore its fertility. To put it simply, soil contamination occurs when the soil comes in contact with pollutants, mostly due to hazardous past activities that were conducted on the site. The concentration of pollutants becomes higher than normal, often spreading to the nearby areas and polluting the neighbour lands as well. People have often reported dealing with contaminated soil, due to recent demolition or construction work developed close to their homes or farms. Living or working in close contact with contaminated soil increases the risk of chemical exposure through skin absorption or inhalation of chemicals. If corps are being planted on such lands, they can quickly absorb chemicals from the soils that travel from their roots to their leaves, fruits and seeds and eventually reach the people who consume the produce. Before coming in contact with the human body, soil contamination can also affect crop quality, by decreasing the fertility of the soil and alter its structure. The crops will develop poorly and, over time, the soil will become less productive and even completely infertile due to large quantities of toxic chemicals. Soil contamination can also lead to water pollution. After rain, the surface runoff can carry the polluted soil and mix it into different water sources. This way, the water fills with toxic chemicals, which make is unfit for humans, plants or animals. Low levels of contamination can produce reactions such as nausea, fatigue, rashes or headaches, while exposure to high levels of contamination can even result in neurological or reproductive disorders. Studies have reported that prolonged high chemical exposure can also increase the risk of cancer. The most vulnerable are usually elders, pregnant women and especially children, who often play in gardens and ingest soil particles from touching their mouth with dirty fingers. In such situations, the health risks are much higher. In urban areas, lead is the most common soil contaminant, mostly because it used to be found in the compounds of exterior paint. It is very easy for old paint to disintegrate and fill the soil around the house with flakes that can contaminate it. Avoiding to grow crops or do digging near buildings that could have been painted with such old paint is one simple way to avoid contamination. Heavy metals and industrial chemicals are also present in urban areas, though they are more likely to be found in industrial areas, rather than residential. · Pesticides: after World War II, people started using DDT, an insecticide that turned out to be extremely dangerous for the environment, to deal with rodents, weeds and insects that threatened their crops. In 2011, traces of DDT were still found in human bodies, despite being banned almost 30 years ago. 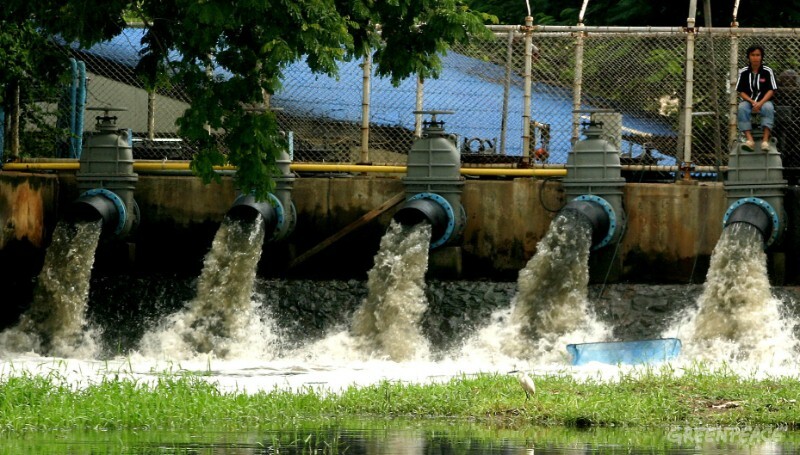 · Industrial pollution: improper disposal of chemical waste from various types of industries has led to soil acidification and contamination with heavy metals, oils and toxic chemicals. · Poor irrigation: bad irrigation practices have led to increased soil salinity, while improper maintenance of irrigation canals and intensive farming slowly degraded the soil over time. · Urban activities: disposal of solid waste is another form of soil pollution, most common from plastic or batteries, which contain lithium that causes soil leaching. Sewerage leaking can also damage soil quality or change its chemical composition. Testing soil for contamination is quite easy and many laboratories offer such services. Private companies and public universities also offer soil testing services, which can reveal all the information needed. Some of these services are mail-in and the labs will provide instructions on how to properly collect soil samples and send them through. After the test reveals the level of pollution, there are a few procedures that can help deal with contaminated land. · Soil Washing: this is often considered to be the best technique to treat heavy metal and hydrocarbon contamination. Soil washing is a process that involves physically separating the contaminated particles from the soil by using heat or water to remove them. · Bio-piles: this process involves excavating the soil, forming it into piles and mixing it with soil amendments. The piles are enclosed and an irrigation system pumps air and nutrients through the soil. The treatment time varies between 3 and 6 months, after which the excavated soil is returned to its original location. · Soil Stabilization: typically used to treat sub-grade materials, such as clays or granular materials, the process is used to enhance the physical properties of the soil. It uses reduction and oxidation to incorporate additives into the soil, until it achieves the desired properties and the contaminated soil become non-hazardous. The decontamination process can vary, depending on the type of pollutants that are found in the soil and the contamination period. 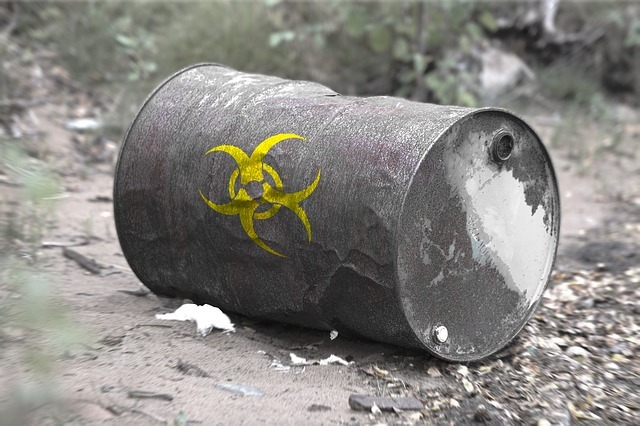 After decontamination, the disposal of the contaminated remains must be carried out according to local regulations, to avoid polluting other areas. When we are speaking about the cities of the future, we are speaking of green cities, cities that have directed their efforts to transform into sustainable spaces. When referring to these cities we often call them smart cities, and Stockholm can be described as a smart city because it became a green city with the help of the funds it received from the EU. 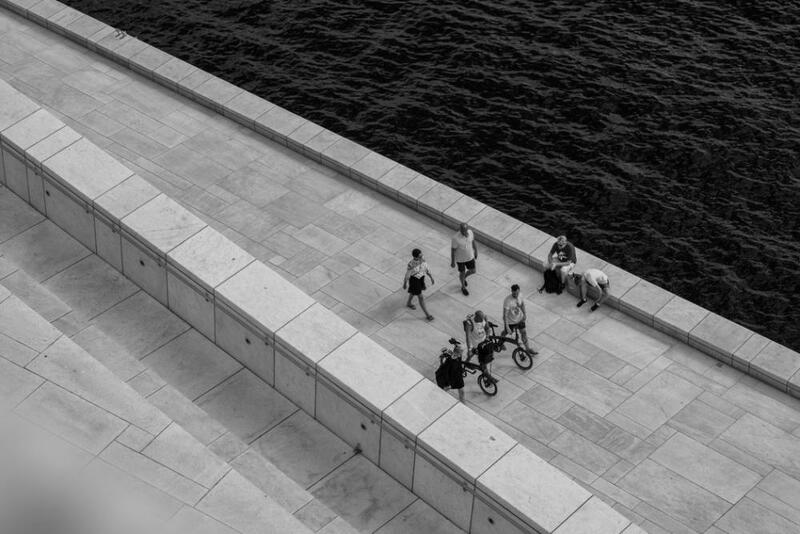 Stockholm is considered a lighthouse city in Europe, together with Cologne and Barcelona meaning that other cities and countries should follow its example and inspire from its projects to improve the living conditions and to enhance their sustainability. Stockholm is a smart city because it understood that at the present times it is vital to becoming greener if we want to preserve the planet we are living on. The city hopes that by 2020 to remove all the fuel use, a policy that places it among the smartest cities worldwide. And if it were to compare it with other cities not only from Europe but from other continents, we can easily say that it is one of the greenest destinations. Most of the cars and taxis that run the streets of Stockholm are powered by bio-fuel, generated from sewage. Bio-fuel is available at multiple petrol stations around the town, and the administration wants to expand its use to lorries and larger vans because at the present moment they are the most pollutant sources when it comes to vehicles. They base their assumption on the idea that if 100 persons are going to the toilet, they power one car, and if we put together the organic household waste people are creating then the amount of bio-fuel can easily grow, and so does the number of cars powered by organic fuel. What innovative projects does Stockholm support? Alongside the numerous projects, the city has started with the purpose to enhance the sustainability levels, they are also collaborating with Fortum, an energy business that can transform the heating system of the city. They plan to use the heat produced by stadiums, supermarkets and data centres to provide heat to the residents of Stockholm. The city has more than 2.800 km of pipes underground designed to heat the over 10,000 building where residents are living, therefore they would reduce the waste they experience nowadays when they are using hot water to create them comfortable living conditions. Another project has in plan to use the wasted heat of a stadium that can host around 30,000 persons to heat the restaurants, houses and shops located close by. 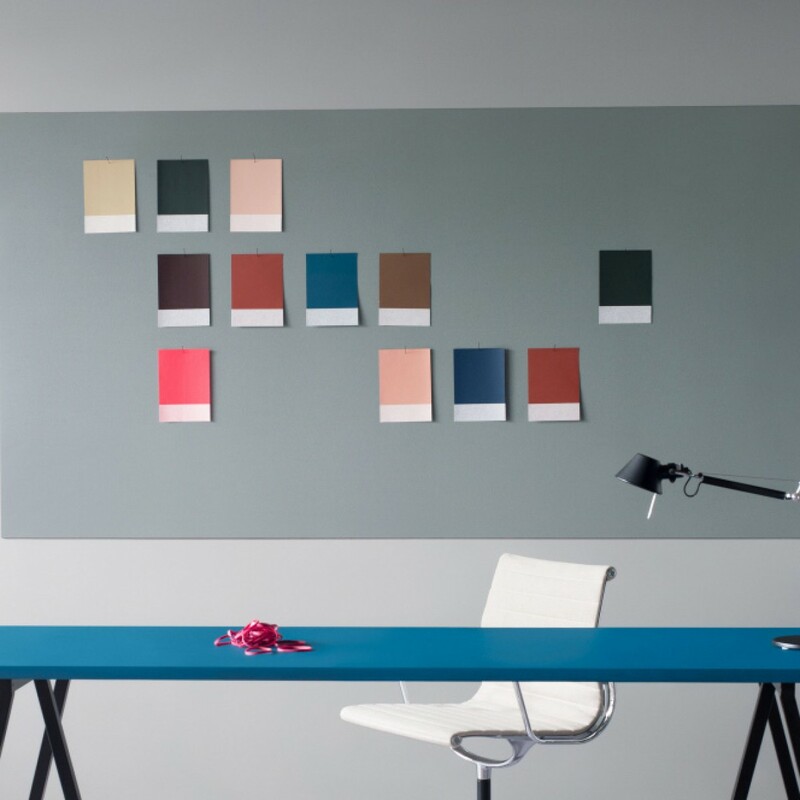 This is one of the trends that has gained popularity in Sweden during the last years, because we can encounter numerous projects that have similar purposes. 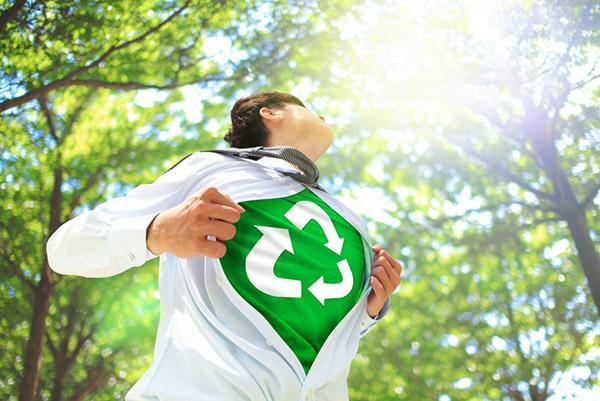 Sweden has started numerous campaigns to convince companies to adopt eco-friendly strategies. For example, they want to convince companies to locate their data centres close to Stockholm where the heat they generate can easily be re-used. They also recommend businesses to adopt all the possible measures to transform their activities into sustainable ones. For example, the simple installation of a can press called a 'burkpress' in Sweden can help them reduce the amount of waste they are generating. Companies are encouraged to collect different types of rubbish accordingly. Sweden does its best to recycle the waste produced by its residents. They are asked to place different types of waste into different coloured bags. All the bags are taken to a central system where it is sorted with the help of an optical sorting machine. The sensors installed in the system can easily identify the different colours of the bags and they can measure the quantity and type of waste people throw away to understand what areas require extra attention and education. The eco-friendly action has taken over all the sectors of life in Stockholm, and the hospitality industry does no exception. When choosing a hotel in Stockholm tourists know that it is quite difficult to make a wrong decision. They can choose from 90 hotels that are bearing the Nordic Swan Label that shows their compliance with strict health and environmental regulations. Stockholm has the highest number of eco-friendly hospitality facilities in the world. For example, HOBO one of their green hotels is decorated to meet the preferences of millennials. It offers the vibe of a hostel because the rooms are big enough to include a bathroom and a bed, but the experience is the only one that counts. You will not find a phone in the room, the guests have to use their cell phone if they want to contact the reception. In the lobby of the hotel, the guests can find edible plants, a feature not many hotels have. And if someone has the misconception that the hospitality industry is the only one that promotes sustainability, they are wrong because they are also known for the great number of eco-friendly cafes and restaurants they have. The locals and tourists can eat in vegetarian restaurants at affordable prices, something not many vegetarian restaurants in the world offer. The vegetarian restaurants do not serve only main dishes, but also raw desserts, cider and beer. For the ones who want to eat a complete dinner there are numerous restaurants that serve dishes made from organic and locally sourced meats and vegetables. All the restaurants and cafes have an outdoor patio where people can spend the time to enjoy the fresh air and to boost their immunity. They can warm themselves with the blankets they find on the seats if they consider that the temperatures are too chilly. The restaurants from Stockholm are famous worldwide for the farm-fresh ingredients they use to prepare their tasty dishes. The eco-friendly restaurants from Stockholm serve house-made ice-cream, bee pollen, hazelnuts and baked apples, all came from organic sources. Stockholm is on the road of only becoming greener, no one can say that the journey has always been smooth and without bumps, but their efforts are totally worth. How can manufacturers reduce waste in their companies? Every year, companies generate billions of tons of industrial waste. Manufacturing waste is generated in just about any plant, which is why it is crucial for organizations to establish practices to minimise the generation of by-products. Types of industrial waste include but are not limited to dirt, scrap metal, trees, trash, oil, and chemicals, and solvents. Waste represents an environmental issue. Nevertheless, it is a tremendous economic loss. How can waste be part of the economy? Simple. It is the result of an economic activity undertaken by a business, having economic implications for productivity, government expenditure, and, last but not least, the environment. In order to comprehend the problems that this planet is dealing with, it is necessary to acknowledge the fact that waste is exclusively a human invention. There is no such thing as waste in nature. We can only speak about a process characterised by the renewal and revitalization of sources of energy and materials. The waste that is being generated by humans is not helpful in nature. On the contrary, it does a great deal of damage. Firms in the manufacturing industry have no choice but to deal with their waste – in other words, to reduce the amount that they produce. In this article, we are going to discuss how it can be achieved. Printed media is one of the most prominent forms of advertising and this is all due to the fact that it can reach a wider target audience. It seems that newspapers, newsletters, and magazines are effective when it comes down to grabbing the attention of consumers. It is clearly true that print advertising still works in 2019. Yet, it should not be such an important part of marketing. Considerable amounts of paper are produced each year, meaning that a substantial amount of timber is required to produce commercially cut lumber. Producing fliers and letters contributes to the deforestation problem. It is better to simply send out emails and use a mixture of technology and content. The digital revolution is sustainable and positively impacts our lives. Metal pressing is an activity that involves the placing of sheet metal in a stamping press and the formation of specific shapes. Companies are always on the lookout for new tools and techniques to increase productivity and quality for success. Somehow, they manage to forget about the fact that it is necessary to pay attention to metal stamping waste. A great deal of waste is generated in the pressroom and one cannot afford not to be knowledgeable when it comes down to business operations. Lean manufacturing is what can improve work efficiency. Lean manufacturing is all about minimising by-products and maximising productivity. As far as implementation is concerned, it is imperative to identify value from the consumer angle, map the value stream, create value, and, last but not least, set a pull system. 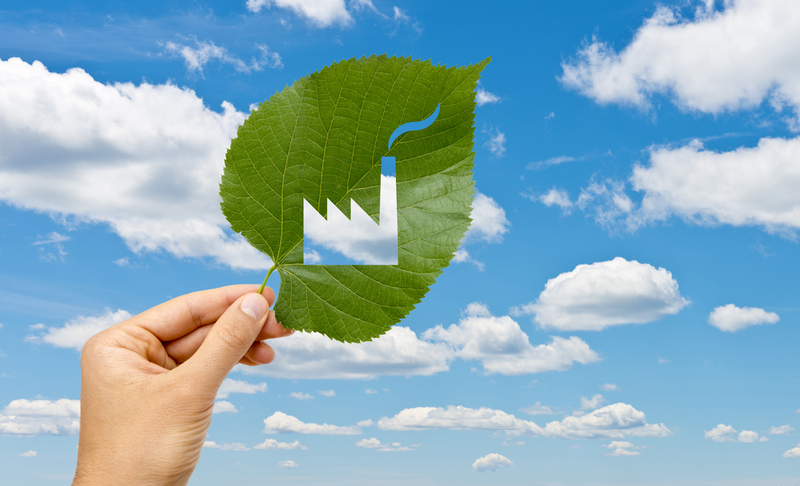 The good news is that almost all metal pressing companies are already meeting their environmental requirements. They are successful when it comes down to achieving and maintaining compliance. Once the waste is identified, the organisation determines what method is suitable to treat it. Paint, for instance, can be incorporated into industrial fuel. Oil, on the other hand, can be treated via refining and burning. It is up to the metal pressing company to decide what the best course of action is. The results will be instantly visible in company productivity and in the improvement of environmental sustainability. A manufacturing company’s inventory is nothing like that of retailers and wholesalers, in the sense that it includes goods in various stages of production. Raw materials can be found in this category. It is possible to reduce manufacturing waste by handling and controlling the goods in stock. Inventory management is a simple yet effective pollution prevention measure that can be utilized by virtually any company within the manufacturing industry. It is enough to cut down on the amount of excess raw material and eliminate hazardous waste materials. It is a good idea to invest in reusable and remanufactured products, as they significantly reduce waste. Companies are able to demand specifications for equipment the moment that they negotiate vendor contracts. Equally important is to educate employees with regard to the costs of disposing of leftover raw material. Surprising as it may seem, the manufacturing industry gobbles up thousands of gallons of water per year. Firms that produce metals, paper, and wood products, chemicals, and so on and so forth, are the major users of water. The water that is necessary for the production process is offered by public suppliers or it is self-supplied. In addition to water, companies use an abundance of solvents to clean or dissolve different chemicals. In some cases, it is possible to avoid the use of solvents. When this is not attainable, it is important to be careful when solvents are used. To be more precise, it is required to monitor the use of water and solvents and, undoubtedly, consume less. Attempts to reduce consumption need to be made. Water usage, for its part, can be reduced through the adoption of reverse osmosis, chemical drying agents, and the implementation of a membrane bioreactor. Sheet metal fabrication results in high volume products for various industries, such as automotive, chemical and pharmaceutical manufacturing, and construction. During the course of the fabrication process, it is normal to have leftovers. Scrap is unavoidable, but that does not translate into the fact that it is impossible to minimise wastage because it is. Thanks to automation and technology, manufacturers can minimise waste during the fabrication process. When an advanced CNC systems is used, the number of items that can be obtained increases. The machine is so precise that it does not make mistakes, so there is no need to worry about generating by-products. Software too increases the usage of materials. If there happen to be leftovers, then they need to be recycled. There is no other alternative. 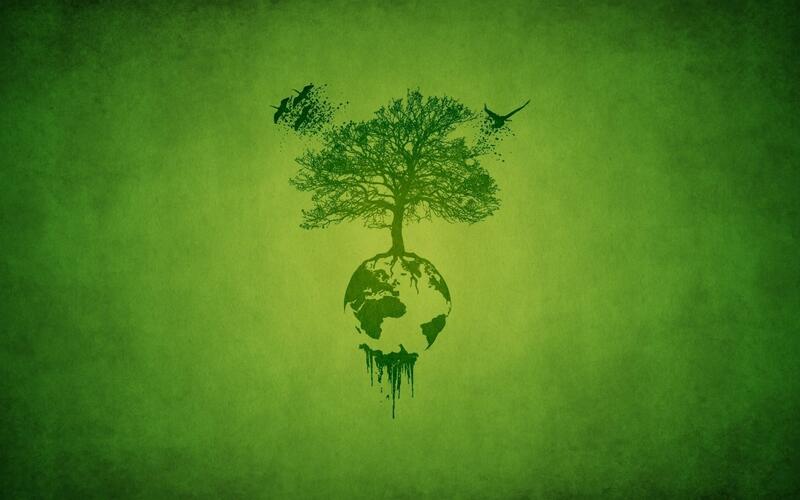 Environmental Awareness Builds Strong Businesses, But Why? Green brands are thriving. But why? Well, when it comes to customers, they consider many variables when they decide to shop from a company or not. And lately, as environmental concerns increased in importance and mediatization, they try to find more products and services coming from companies with strong green values. In this day and time, the general awareness of environmental issues and the continuous search of the wide audience for better, less polluting and less damaging products and services forces companies to shift their policies and internal processes to find solutions to age-old problems. The customer today is leaning towards sustainable, green and organic products. And if you are a manufacturer with nothing green about their business, well, you might be on a tight grip here and you might see your business endangered by the new consumer. 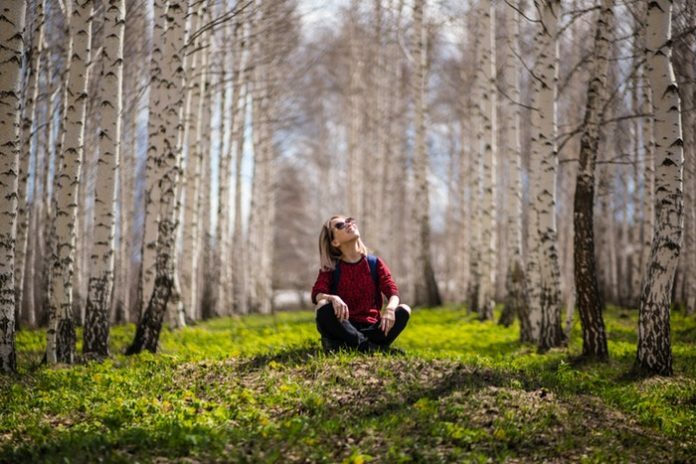 While being more conscious of your business and how does it impact the environment is important, greening your establishment will also bring you some unexpected rewards. Let’s analyse below how and why all businesses should start their green measure implementation as soon as possible. Simple measures (for the beginning) like ditching plastic bags are a good starting point to make your business more appealing in your customer’s eyes. Only think of priding yourself on being an eco-friendly business and handing your customers plastic bags. This will spoil the whole eco business image that you want to build. Instead, make sure to adapt your packaging strategy and switch from plastic bags to paper ones. Small retailers can even invest in cloth branded bags. The eco-conscious customer loves not only to recycle but also to reuse. Offer them this opportunity and make sure that you make this change visible. You can even send a newsletter to all your customers and informing them that your shop will no longer retail plastic bags. This will turn out to be a piece of information that most customers will love. While consumers today have bigger expectations from manufacturers and retailers when it comes to their environmental measures, they aren’t absurd enough to demand completely green products. This is something that may never be achieved. However, a little effort on your business part will come as a pleasant surprise and your customers will become more engaged with your brand and will end up supporting you more than your not-so-green competitors. This is an advantage that you can start to exploit quite easily. Having a few environmental-conscious products in your offer will positively and efficiently showcase your tendency to support the environment and your customers are more likely to engage with your business. Set up a green product corner, supply local products and try to rethink your supply chain for long-term perspectives. Slowly transitioning to eco-friendly products is not impossible at all, but it will take some time to approach this matter and adapt it to your company’s products and services. Becoming a completely eco-friendly business takes a lot of work and dedication. For shop owners, including some eco-friendly products is only one part of the whole transition, for instance. They also have to work on their behind-the-scene processes and adapt those to make them more environmentally friendly. While this is a complex process, businesses who have changed their internal processes gained new customers and increased their retention rates. Switch to energy efficient light bulbs. This is one easy step to a greener establishment. Plus, you can always encourage those entities part of your supply chain to reduce the volume of packaging when delivering goods. Waste management is another variable that you must pay extra attention to, especially as a grocery shop owner. Make sure that you put on discount all products that come close to their expiration dates. This will encourage your customers to shop for those and will make them realise that you treat with extra care the food waste matter. Invest in marketing campaigns that put on display all these changes, if you want to increase brand awareness and gain more customers. If you keep those only for your company you cut your business the chance to thrive. Trade show displays make amazing choices when you want to raise awareness in the shop when it comes to bio products or locally-sourced products. A “green” corner will be easily marked by these display’s presence. Make sure to include information on other similar measures that your company prides itself on. For instance, include the fact that you are now sourcing some of your products from local, bio farms, that you changed all your light bulbs with energy-efficient ones and so on. The representatives at UK Exhibition Stands claim that their clients are becoming increasingly creative when it comes to their products and lately, they began to use those to display efficiently similar changes in their shops. Green buildings bring the immense advantage of lowering the overall costs associated with running a business of any type. To make your building more environmentally-friendly, you have a few effective tools and actions to implement. Invest in proper insulation systems to lower your energy expenses and consumption rates. Solar panels are a great investment for those businesses why also want to become known on the market for the care and attention to the environment. Running an Energy Efficiency Audit will offer you a better idea on what your company lacks when it comes to building efficiency and what measures they can implement to achieve higher “green” standards. These are only some of the changes that businesses today can make to make their establishments “greener” and more appealing for today’s consumer. Keep in mind that the consumer today is more attentive when it comes to such issues and concerns and not aligning your business to today’s requirements might prove a fatal error for you. By doing this they will manage to save money, and as everyone already knows, the main goal of businesses is to increase their revenue. Companies are in a constant search for methods they can use to go greener. The following brands are known worldwide and they are taking the lead into transforming their operations into more sustainable practices. Not long ago McDonalds was one of the negative examples, when we were thinking about the impact companies have on the environment. However, they decided to shift their perspective and to opt for greener strategies. They decided to be the ones who send a signal to the other popular fast-food brands. Nowadays we can refer to McDonalds as one of the leaders in the eco-friendly movement. All their restaurants use energy-efficient appliances, because they considered crucial to reducing the overall energy consumption. Also, McDonalds is presently collaborating with PETA, because they want to transform the brand into one that has humane and friendly practices. Multiple restaurants offer green parking lots available only for hybrid vehicles, so their buyers are encouraged to change the cars they use for ones that do less harm to the planet. The parking space has permeable concrete. Home Depot is the true example of a company that struggled a lot to change their practices into greener ones. Home Depot was hit by numerous protests and demonstrations after it was designed as the world’s largest retailer of old-growth wood products, by Rainforest Action Network. But not the protests and demonstrations were the ones that convinced Home Depot to change their actions, the more than 45,000 letters and calls are the ones that forced them to change their perspective. They adopted a no old-growth sales policy and this was only the first step in the long process. Google does its best to support green energy projects, because it is the type of company that is known for the enormous amount of energy it consumes. Google designed the world’s most efficient data centres, and it is a leader when it comes to creating campaigns that promote energy conservation and the usage of renewable energy sources. Google is one of the biggest sponsors of projects that focus on green energy. It invested in solar panels and windmills to create more green energy sources. Starbucks is proud to share with the world their bean-to-cup approach. It improves their efficiency at all levels in the supply chain. Everyone considers this program a success, because Starbucks is using coffee cup sleeves made from recycled paper. Their initiative saves around 80,000 trees every year since 2006. Starbucks has also started multiple collaborations with environmental organisations, because they want to make sure that help the communities it operates in. Tesla Motors is a well-known brand for its eco-friendly cars. The company became famous because they managed to produce eco-friendly cars that meet the same levels of speed and power, the other vehicles do. Tesla Motors manufactures electric powered vehicles sold around the world. People prefer this brand because the overall maintenance and care costs are lower compared with the ones from other cars. 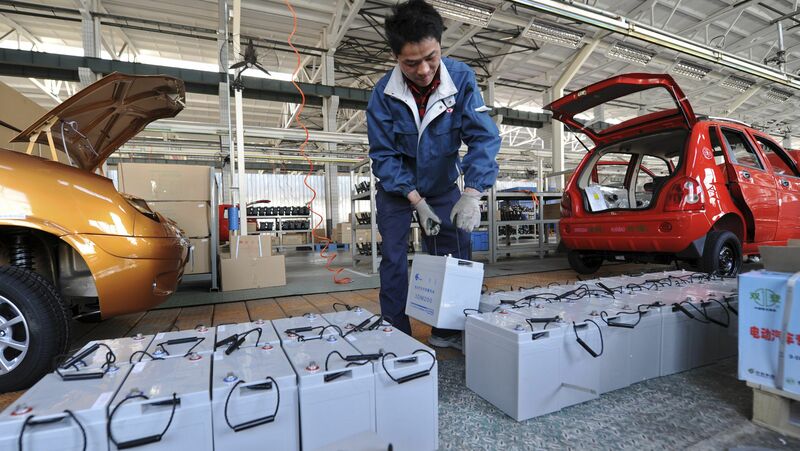 Auto companies have difficulties into becoming eco-friendly businesses, but Honda gets involved in a process composed of multiple steps that transformed it into a green business. They managed to find a way to manufacture fuel-efficient vehicles, and they do not stop here. They are in a constant search for improving their vehicles and they are presently seeking for a way to create a hydrogen fuel cell powered vehicle. Auto companies not only that do their best to produce eco-friendly vehicles they also have to make sure that they recycle their waste. Miltek recommends auto companies to establish collaborations with businesses specialised in recycling trash in safety conditions. Honda states that they are also working on reducing carbon dioxide emissions and they want in the future their cars to be powered by hydrogen fuel instead of gasoline. Everyone around the world has heard about Toyota, because it is the largest car producer. They are also famous for manufacturing cars that reduce the carbon footprint. Prius is the world’s first hybrid vehicle, and it is considered one of the most amazing vehicles people were ever able to drive. This car is worldwide acknowledged for its efficient consumption, and it occupies leading places in the top of cars that emit the least amount of carbon. Wal-Mart has a bad reputation when it comes to companies that do efforts to become greener. But, in the present they have started an ambitious project, they want to use renewable energy sources to power all their stores. And they want to use only renewable energy for doing it. Wal-Mart declared that they want to organise all their operations according to a waste-eliminating policy. Not only that their stores will be 100% fuelled by renewable energy, but they will transform all their operations into more eco-friendly ones. Coca Cola has established three main goals they want to achieve, regarding to environment preservation. They focus on preserving water supplies, climate and energy protection, and sustainable packaging. All these initiatives are ambitious, and it implies all their operations to be conducted according to sustainable rules. But the efforts Coca Cola is making to protect the planet do not stop here. They are getting involved in projects that promote recycling, green packaging designs and energy efficient production of supplies. The above companies are examples of how businesses can become leaders in the green revolution. They will encourage other brands to include in their operations more eco-friendly and sustainable business practices. The importance of taking better care of our environment has become an incredibly popular idea which has spread all around the world. More and more people have noticed or experienced the changes of the environment which have been caused by the negligence and actions of humans who did not pay enough attention to the natural resources or how their actions affect the world we live in. Extreme weather conditions and heavy pollution caused by the traffic and the negligent production of the large factories and the individuals who do not recycle the waste they produce have become something which affects us all because it has led to numerous health affections such as respiratory problems and allergies which people have developed due to the fact that the environment which we live in is not a healthy one anymore. Here are some changes which you implement in your lifestyle to become an environmentally-friendly person. 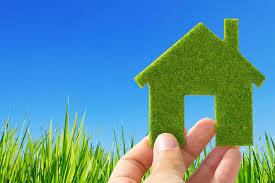 One of the most important and influential steps which you need to make when you decide to become an environmentally-friendly person is to improve your home to become a greener one. The home which you live in is the place where you spend most of your time, so, apart from the fact that by transforming it into an eco-friendly one, you are going to help the environment, you are also going to improve your health by living in a healthier environment. 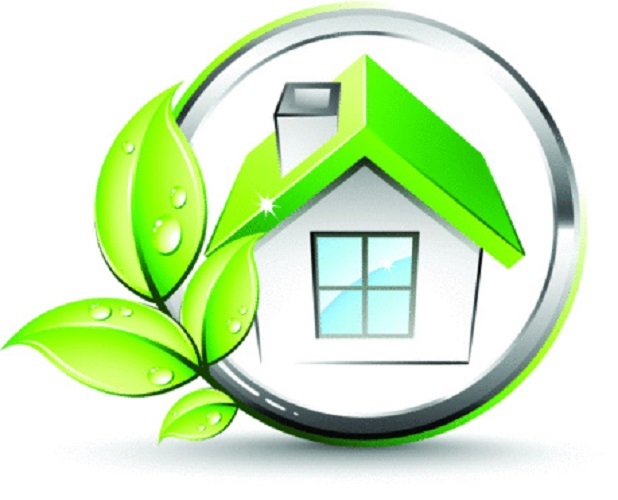 There are numerous ways which you can use to transform your home in a green one such as insulating it to avoid heat loss throughout the walls of your house and reduce the electrical bills, reduce the water waste of your household by collecting the rainwater which you can use for chores such as watering the plants or lawn or washing your car, consider renting a temporary boiler only for the cold months, use sunlight as much as possible instead of turning on all the lights inside your house, use your creativity to repurpose old items rather than throwing them away, and recycle all the waste which your household produces by buying large colored cans designed for separating the waste in order to make it easier to take it to a recycling company which can make sure the waste is reused properly. We all have numerous items which we find useless because they are not in a perfect shape anymore or simply because when we have bought them, they seemed to be incredibly useful but ended up in a drawer which we never open. Since you definitely have a bunch of clutter inside your home, you could go green and get rid of them by donating them to the people who need it rather than throwing them in the trash. Apart from the fact that you are going to help the environment by not wasting items which can still be used, you are also going to have a lot of personal satisfaction by seeing that you have made someone smile. One of the biggest factors which have a huge negative influence on the environment is the pollution caused by heavy traffic all over the world. If you wish to become an environmentally-friendly person, you should make sure that you no longer contribute to the pollution which slowly destroys our environment and start using your bike or public transportation to travel from a place to another, rather than your personal car. Apart from the fact the individuals produce a big amount of waste at their households, in everyday life, no matter where they are, they also produce waste such as plastic bags or bottles from the foods and drinks which they consume. As an eco-friendly person, you need to make sure that you look for colored cans designed for recycling to throw your trash rather than throwing it in a place where it will never be repurposed. We live in the era of the technology and the internet, so, going paperless should not be that hard. 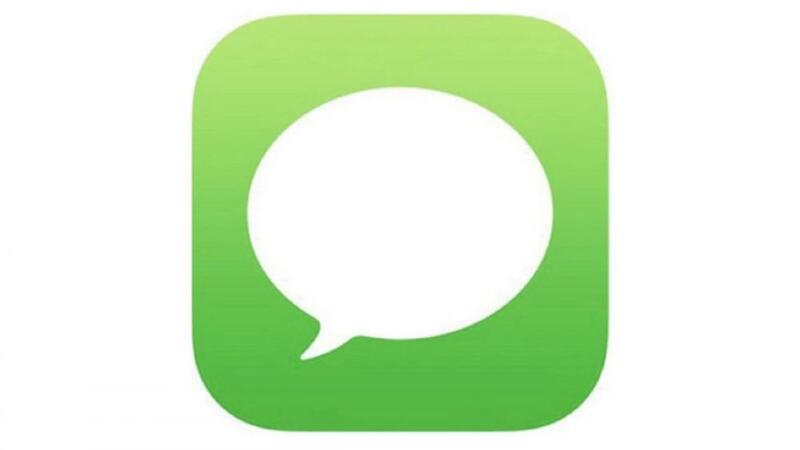 We already use numerous apps for almost any task which we complete during our everyday life. So, you could, for example, opt for online billing rather than to be sent a paper bill which you are going to throw anyway and contribute to the waste produced. 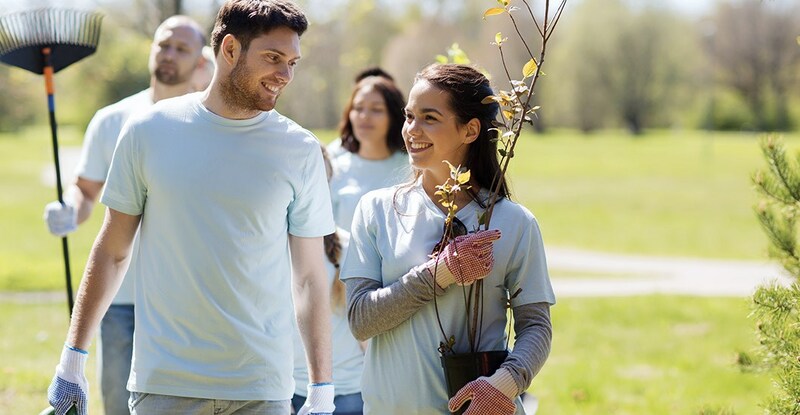 Since the awareness of protecting the environment has become such a popular topic, there are numerous organizations which unite the individuals who want to join the cause of taking better care of our environment. In order to be part of this cause and help the environment which we all live in, you need to consider volunteering in eco-friendly activities such as planting trees, collecting garbage at community cleanups, or spreading the awareness to people who are less informed about the best ways which they can implement in their everyday lives to give a hand in protecting the environment. When buying a vehicle, you should not consider just the brand name, the beautiful appearance or other ephemerals, but also consider the safety aspect of the vehicle. The so-called ephemerals are also important, but not as important as safety. Never forget to read the safety reviews about that car and also find out about the crash test result. Steer clear of the automobile if there is no assurance of safety in the vehicle. Safety measures are being updated in automobiles these days. Find to how many of these safety measures are available in that vehicle before you buy. Some safety features are added as standard, while you have to buy some other ones by yourself and get them fitted to the vehicle. Those safety measures may cost you extra greenbacks, but they are assured lifesavers. In this write-up, we will consider several safety features you can add to your vehicle that can ensure your safety and that of your environment. This safety device can work perfectly in all kinds of automobiles, be it a truck, coach, car or even a bus. You can, therefore, go for this unique security device if you need Heavy goods vehicles safety technology. Apart from the safety device discussed above, there are still some other safety features that can protect you and your environment from auto accidents. Some of these other safety features are discussed below. The airbags are usually fitted to the front and back of the automobile so that they can protect those at the front seat, as well as, those at the back seats. They are standard features in automobiles and this dated as far back as 1998. Airbags also became standard inclusions in light trucks in 1999. The airbag technology is fitted with crash sensors that detect a frontal collision, which will then trigger the airbags. The bags only need milliseconds to inflate. However, they also start deflating immediately after getting inflated. This safety feature makes it easy to steer the automobile on slippery surfaces. It makes use of sensors at each of the wheels and also uses a computer to maximize the braking action at each of the wheels towards preventing lock-up. With the aid of this feature, the driver can easily maintain firm control of the steering wheel when applying the brakes. As a result, the automobile will not be difficult to manoeuvre around obstacles. The system is developed to apply the brakes and provide maximum control and power. The driver only has to push hard on the brake pedals and leave the ABS to complete the rest of the job. It is an electronically controlled system built to limit wheel spin when accelerating. As a result, the wheels will have 100% traction on the road. You will find this safety feature useful when you are kick-starting the automobile on an icy or wet road. You will also find it useful when launching the automobile with relatively high horsepower. Bear in mind that some traction control systems developed today only operate at low speeds and some other ones operate at all speeds. The many safety features mentioned above can ensure complete safety for you and everyone in your automobile. The beauty of it is that the safety features mentioned above can be fitted to any kind of automobile. Corporate environmental responsibility is a unique business strategy, and it is increasingly gaining popularity in the United Kingdom and other countries of the world. Business organizations have the responsibility to cater to the needs of their stakeholders in the way they do their business, the same way they provide to the needs of their shareholders. Corporate Environmental Responsibility is equally referred to as Corporate Social Responsibility (CSR), and it prompts business owners not to limit their purposes to commerce alone, but to also give a thought to their environment. CSR can be defined as the continuous commitment of business owners to ethics and their contribution to economic development and improvement in the quality of life of their workforce and their family members, not forgetting the welfare of the society and the community where they do business. Many investors will like to know how committed a business owner is to corporate environmental responsibility before investing their money in that business. First and foremost, you must define your corporate environmental responsibility for your industry or company and bring every member of staff up to speed about the development. Bear in mind that your CSR depends on your niche and it can differ from that of a company in a different niche. Consequently, what works for a furniture manufacturer may differ from what works for a bank, a grocery store chain or a bottling company. Make it known to everyone in the company and paste the information everywhere to ensure easy adaptation. You can even print the CSR focus of your company on popup tower stands and place them in strategic locations in the business outlet. You can further promote your organization's environmental responsibility action by carrying out continual and extensive research on what the concepts of CSR are. Two great places you can consult for research on the subject matter are the Global Reporting Initiative and the World Business Council for Sustainable Development. You can then compile the research reports and scrutinize them to arrive at a lasting conclusion regarding your corporate environmental responsibility. Listing your corporate environmental responsibility actions on popup stands UK can make the word to go round and bring all the intended people aware of the company's CSR. However, the work does not end there; it is essential to measure the impact of the effort and access any opportunity for improvement. The company should establish certain metrics that can be used in measuring the progress achieved in the CSR practices of the company. Find out the percentage of company income expended on supporting or promoting the CSR after tax. You can reduce the cost of a great deal by using popup stands. It is affordable but highly impactful. How does your effort compare to other companies in the same niche? How many hours are dedicated to the CSR effort periodically? You can either adopt qualitative or quantitative metrics, but your company will find it easier to defend quantitative metrics than qualitative metrics. All hands must be on deck if you are to promote your corporate environmental responsibility action at the workplace successfully. You must be ready to conscript your members of staff and make it mandatory for all to quicken the promotional progress. The employees can help in defining your company's CSR and advancing the effort. Why not form an ad-hoc committee consisting of some member of staff? They can be saddled with the responsibility of deciding how best the company can be appropriately responsible socially within the limits of the resources available. However, the use of popup stands UK can reduce how much the committee has to spend to promote your company's CSR. If given the required authority, you will be surprised at how much progress the ad-hoc committee can make in figuring out the best way to make it happen. These individuals can even do the work faster than some corporate committee. While it is a great idea to promote your corporate environmental responsibility actions, it is equally important to do that within your limited budget. First of all, determine how much your company can afford to spend on this project. Then, search for ways to cut cost as much as possible so that you will not hurt the company's finance or hamper profitability while promoting your responsibility to the society or your business community. The use of popup tower stands can go a long way in reducing how much your company will have to spend on this project. Raising the awareness for a clean community is extremely important in order to create and maintain a healthy environment, with fresh air, and green areas that make living there more enjoyable than in a busy area of the city where the traffic and the noise produces a lot of pollution. Moreover, a cleaning day in your community can have many other advantages such as helping the people bond while cleaning together and have a lot of fun. All you have to do is to make sure that you involve as many as possible of your neighborhoods so that the event has a bigger impact and it will become an example for other communities as well. However, when you are planning such a big event that has a meaningful purpose, a lot of responsibility is on your shoulders. Read below the essential steps you need to follow in order to create a successful event that will be an amazing experience for all of the participants. There are many details that you need to consider when you are organizing such an event. Which is why you need to create a plan so that you do not miss any essential task that you need to complete. First of all, you need to decide what kind of project do you want to base your event on. Whether it is just trash collection, beach and river cleanup, flower planting or even all of them, you have to know exactly what are the goals of the event so that you can plan everything accordingly. Secondly, after checking the weather prognosis you need to choose a date so that everyone will know when to avoid making other plans so that they participate in the cleaning day. Even if it is an event that will be completed with the help of the volunteers. There are still some things that are going to cost some money. Whether you ask for the local council to support your event financially or you find some sponsors that want to support your initiative in the exchange of advertising their business, you need to look for all the opportunities to obtain a budget suitable for all the necessary tools for such an event. The most important part of such an event are the volunteers that are motivated and enthusiastic to work together to reach the final goals of having a beautiful and clean neighborhood. So, you have to make sure that everyone will find out about the event you are organizing so that as many volunteers as possible will come and join your cause. When advertising the event, you can use online and offline marketing venues such as Social Media, flyers, local media so that your message reaches everyone. Also, it is really important to make sure that you invite the local media to be part of your event so that other communities will see the success of your initiative and will start fighting next to you for a cleaner and healthier environment. Organizing such an event means a lot of tasks that need to be completed in time and many essential aspects that cannot be neglected in order to successfully achieve the final goals of the initiative. So, no matter how motivated and enthusiastic you are about taking care of everything on your own, it is going to be incredibly difficult. Moreover, it is not an individual but a social event, so the more people get involved the better it is for the success of the event. Which is why you need to create an organizing team that has people who are also willing to invest time and passion for such a beautiful purpose. Choose people that have all the necessary skills and knowledge to give you a real help in the process of planning everything and more important people that you can trust with completing their tasks in time, before the day of the event. Once you have decided about which type of project you want to base your event on, you need to start preparing all the necessary tools for cleaning and beautifying your neighborhood and its surroundings. for cleaning the trash, you are going to have to provide the volunteers with tools such as trash bags to put the collected garbage, gloves to protect their hands, and metal detectors for the kids involved in the initiative to look for treasures while helping the adults collecting the trash. Also, for beautifying the area and flower planting there will be needed shovels, gardening materials such as plants and mulch, and paint and paintbrushes to repaint the outdoor of the buildings that have not been renovated in some time and take all the modern look from your area. Once all the volunteers have signed for taking part on the event, it is a good idea to stay organized in order to avoid creating a chaos when everybody will be confused about their task and assigned area of the neighborhood. In order to make sure that everybody understands their tasks entirely, organize a meeting with all the volunteers one day before the event, divide them into groups and assign them specific tasks. This way all of the volunteers will know exactly what they have to do and there will be no confusion that can ruin the event. Once the job is all done and now you can all enjoy the new look and beauty of your neighborhood, a party should definitely take place in order to thank everybody for their hard work while taking place in this initiative. Provide foods and beverages and turn the music up for everybody to have fun and celebrate together how they successfully reached the goals of the event while working together as a team. This type of event will also make the relationships and friendships between your neighbors become more bonded. Besides recycling and sorting our waste, there are numerous other ways in which we can protect the environment. 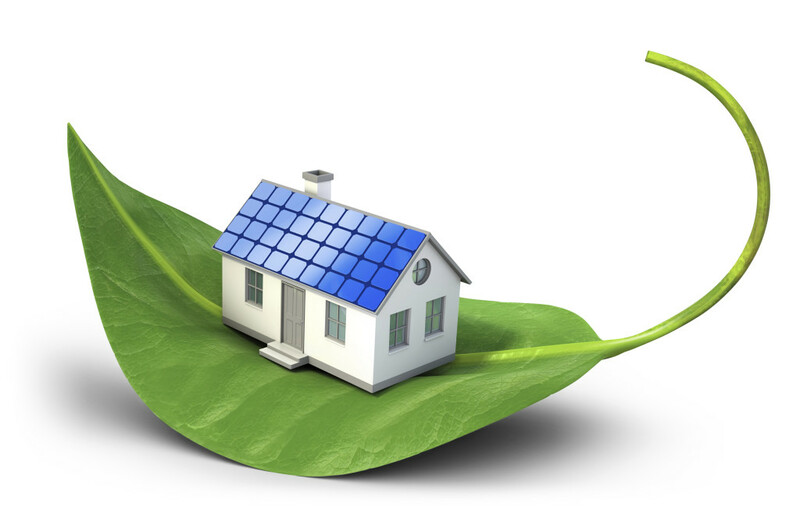 Transforming our homes into green ones is one of the best ways in which we can boost our efforts. While many of us think that this is an expensive lifestyle to accomplish and follow, things are a bit different. In the process, you will achieve more than preserving the environment. You will also save your family budget. Below is a short list of strategies that you can implement to reach your goals. It doesn’t take too much to waste energy, and the other way around is also true. There are so many simple gestures that will help you save energy. Sometimes it only takes a simple step like switching off the lights. But we have a list of additional things you could make to decrease your energy expenses. · Switch to compact fluorescent bulbs. This bulb option is a better one because it generates more light and consumes significantly less energy. These bulbs currently fit all types of light fixtures and will help you four times the energy. It’s a worthy investment even it may be a pricier one. These light bulbs also last up to ten times longer than regular ones. · Remember to turn off the lights. When you’re not using a space, avoid letting lights on. Light bulbs seem to be a small energy consumer but the energy consumed this way can easily add up. If you are the forgetful type, consider buying light sensors. They will help you enormously in the long run. · Choose the right temperatures on your HVAC system. Your HVAC system is one of the biggest consumers in your home. To make sure that you don’t spend money unnecessarily on enormous energy bills, make sure to select the right temperatures. · Pay attention to your freezer temperature. Your freezer is one of the biggest consumers in your home as well. Don’t set a temperature that is too low or else it consumes too much energy. · Unplug electronic devices you’re not currently using. You might think that leaving your electronic devices plugged when not actively using them causes no harm. In reality, they will still consume energy. Many homeowners moved houses once they realized that their homes were eating up too much energy. If you face similar issues and no measure seems to decrease your energy expenses, it might be the right time to get started searching for luxury houses for sale in London. Although these properties are labelled by their sellers as luxury and have impressive build quality, they are still very affordable. Start searching for similar properties and switch your entire living environment. In most cases, this is affordable than trying to fix potential issues that your house might have. 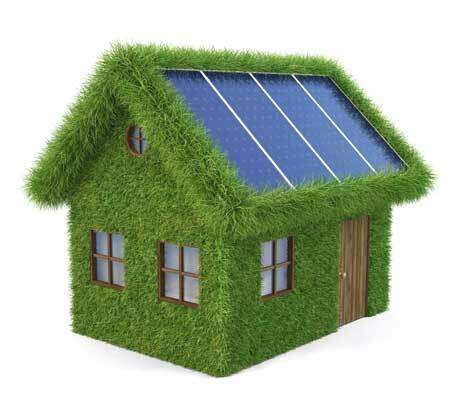 Install solar energy panels, if you want to become greener and self-sustainable. 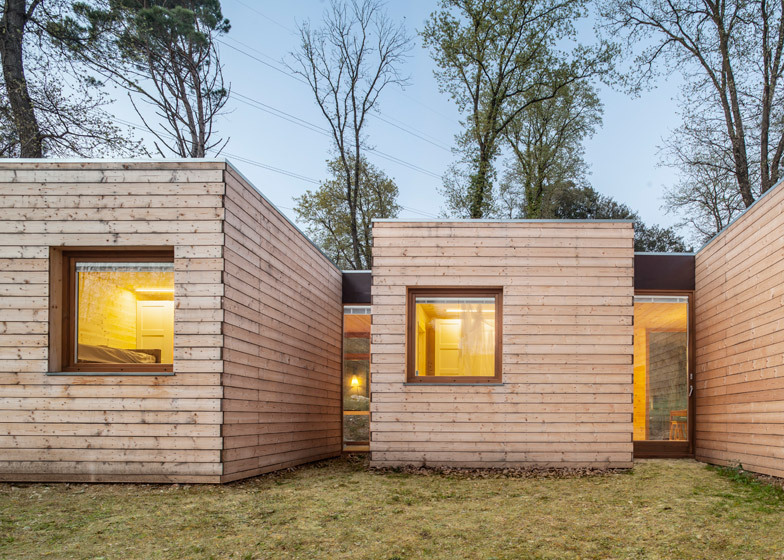 This is one of the best solutions to decrease energy costs and become self-sustainable. Many homeowners forget about the quality of the indoor air when they plan on buying exclusive homes in London. Air pollutants cause a variety of respiratory conditions. Everyday objects release into the air chemicals and allergens which damage the inhabitants’ health. To get a cleaner indoor air, start to select through your cleaning products. But you can take some other additional steps to improve indoor air quality. · Prohibit smoking inside. Tobacco smoke is one of the most dangerous air pollutants inside a home. Passive smoking is a health concern that affects especially young children and elders. Second-hand smoke exposure is one of the main causes of various types of cancer, mainly lung cancer. 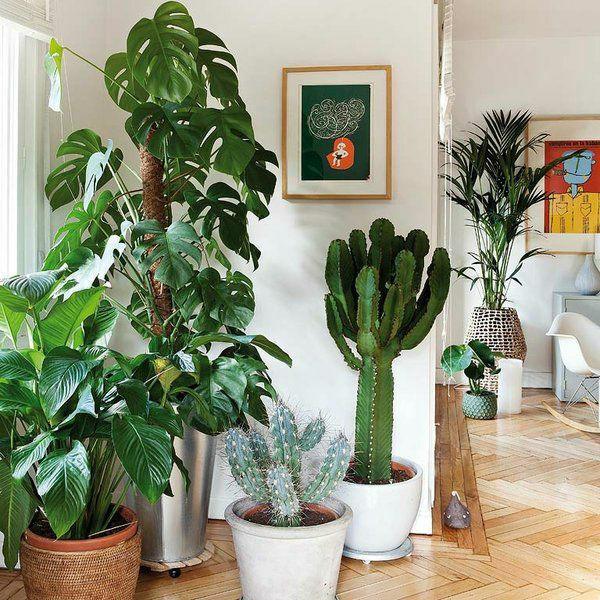 · Consider growing plants indoors. If you start growing living indoor plants, you will benefit from the advantages of a natural air filter. Some particular plants have more air-cleaning capabilities than others do. Dwarf Date Palm, Boston Fern and Kimberly Queen Fern are only some plants that will help you get a cleaner indoor air. · Install a carbon monoxide detector. Many of us think that all gasses have a distinctive odour. This isn’t true in carbon monoxide’s case. Exposure to this gas can cause initially hallucinations, and ultimately, it can lead to death. You can find a carbon monoxide detector in home improvement stores at affordable prices. · Use bio detergents or cleaning products. You can find them online, and luckily for the environment and your health, manufacturers don’t use any harmful chemical in the manufacturing process. Alternatively, you can start learning how to make your own, using supplies around your home. You can use a mixture of baking soda and vinegar to clean dirty pots and pans, your floors and countertops, your sink and toilet bowl and so on. These are versatile options that you could start considering. Waste is one of the main environmental concerns of our era. If you want to reduce the amount of waste that you generate as a household, consider implementing some of the following advice. · Buy less. We tend to buy more food that we can eat and this makes us waste so much food. Try to make a weekly shopping list. A great idea would be to start implementing a weekly meal plan as well. This will offer you a better idea of the food that you have to buy for an entire week. Learn how to estimate your quantities. · Reuse. Instead of buying disposable products, try to invest in reusable ones. This will help you reduce plastic and paper waste. For instance, instead of buying paper towels, buy reusable cotton towels and wash them when necessary. Instead of using plastic wrap, buy reusable beeswax paper wrap. These simple measures will help you become more self-sustainable and transform your home into a green home. Follow the advice above and you will start noticing how your energy bills decrease and how you become healthier than ever. Energy efficiency should be your primary goal in preparation for the winter months. You will need all the interior warmth you can get during the cold months. Aside from keeping you and your family members warm during winter, it can equally save the environment. Furthermore, energy efficiency can save your pocket from pointless leakage by reducing energy cost, especially during the winter months. Energy efficiency effort does not have to involve heavy machinery and installations; those simple things that may seem not to matter can go a long way in saving your home, your pocket and the environment. This is the first thing to do to improve the energy efficiency in your home. Air sealing of your attic can help keep the air outside from entering the house and also prevent the air inside from getting out. Aside from air sealing the attic, you can also carry out the same process on your walls and ceilings. You can use either stripping or caulking to ensure that the windows and doors are sealed properly. Consequently, air leak and cold drafts will be prevented and the air within the home will be kept warm during the cold months of winter. The attic sealing you have done above is not only useful during the winter; it can equally keep the cool air in the home interior from escaping, as well as prevent the warm air from the exterior from gaining entrance into the home interior. Heat loss can equally occur through the window, which is the reason why window revamping can increase the warmth in the home during the winter months. You may need to replace the aluminum frames on the window with a vinyl frame. The aluminum frame can allow heat to escape from the home, unlike vinyl frames that can keep the heat boxed up in the interior. Additionally, you can install multiple window panes. An excellent example of this is the double or triple-paned windows filled with argon gas. It is equally effective in keeping the warm hair trapped within the interior; this is because the argon can function as an effective insulator. Furthermore, you can tint the windows to make further the home interior feel warm. Tinted windows may not look especially attractive, but they can fulfill the intended purpose. If you do not like the idea of defacing your front windows, you can restrict the tainting to your back windows. What about energy Star-rated replacement? It has proved to be one of the most cost-effective and energy-efficient options to keep the home warm during the winter months. Many of the strategies described above are simple things you can do by yourself. However, you can contact Plumber & Heating Engineers to help out with any of the processes. 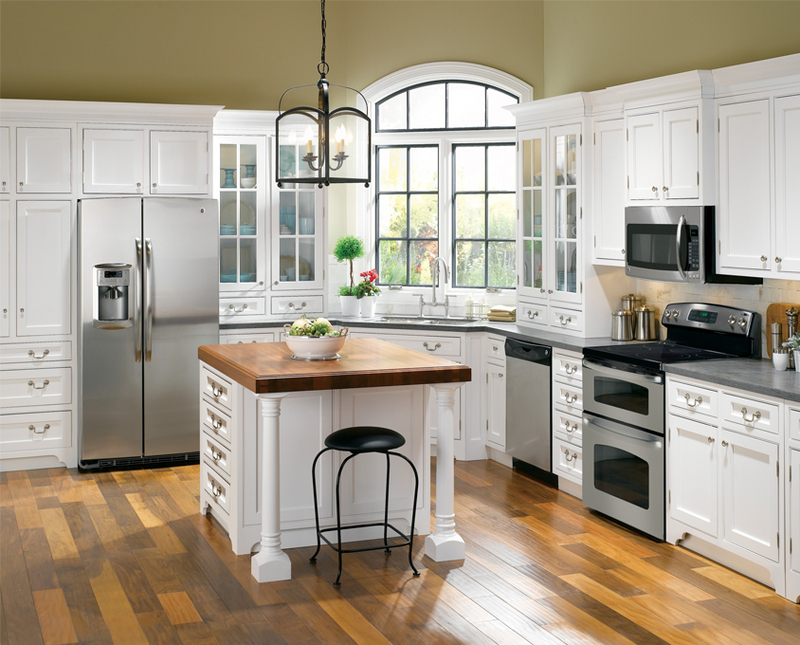 Replacing the old appliances in your home can equally make the place feel warmer than before. For one, you can replace your bathroom fitters to new ones if they are already rusty. Studies have shown that old appliances are not as energy-efficient as new appliances aside from saving energy; this can equally lower your electricity bill a great deal. Aside from your bathroom fitters, you should also consider changing other items in the home like the furnace, water heater, dryer, and washer, as well as any other kitchen appliance that has become too old. If you want to change bathroom fitters in Bishops Stortford, make sure you properly research the various features and models and go for one that is energy efficient among them so that you can get top value for your money. 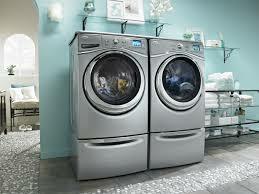 You should look out for those appliances labeled as "Energy Star Certified"; they can be trusted for energy efficiency. Many of the plumbers and heating engineers operating in Bishops can equally be trusted for direction on which brand to buy. Make sure the water heater is kept warm between the range of 120 and 140 degrees. The latest brands of water heaters can turn the temperature down to 140 if the temperature is adjusted beyond that by the end user. The hot water line should be insulated to ensure they do not cool off too quickly after initial use. Also, you should install-on-demand hot water circulating loops. The points mentioned above are just perfect for keeping the home interior warm and making it energy efficient. You can contact any of the plumbers & heating engineers out there for helpful guidance or aid if you ever face any challenge while carrying out any of the process described above. If you are running a business, then this is the right moment for you to enter into the sustainable industry and to transform your company into a green one. More and more companies consider this a great strategy, and they make their inception into the green industry. But the key is not only to make the transition, but to make sure that you are doing it right. The majority of companies do not fully understand what the transition process implies and they do not know what to do. Well, it all starts with promoting your business, if you reach the right audience, then you will receive feedback on your work, and you will quickly manage to complete the transition. Because you are a beginner in this industry, you may have no idea what marketing strategies to use in order to achieve success. You will first have to understand the concept of eco-friendly business, and then you can create a marketing campaign. Your goal is to show your clients that your business cares about the environment. What are the requirements in the green industry? Numerous businesses in the industry state that they are eco-friendly, but if it were to check their products and services, you will quickly understand that they only make the claim, without meeting certain requirements. If you want people to trust you that you embrace green practices, then you have to prove to them that you are authentic. Here are the main requirements you will have to meet in order to characterize your company as a green one. · You have to make sure that the services and products you offer, do not contain toxic materials and ingredients and they do not have ozone-depleting features. · Your clients can re-use the products you offer, and they are created to be re-used over a long period of time. · You create the products following green requirements and you make sure they include only recycled materials. · You use only eco-friendly packing, made from biodegradable materials. · You make sure that you do not use materials in excess when you manufacture the products. How can you market your green products? Transforming your business into a green one is the greatest initiative you have ever had, but you have to make sure that your clients know that you are changing your direction. Customers will buy from you only if they know what to expect from you. You have to create a message that helps clients understand what your intentions are. If you explain to them what you want to do in order to transform your company into a green one, they will continue to buy from you. If you want your clients to continue to buy from you, you should make sure that you tell them what benefits they will have if they choose an eco-friendly company. Just because you offer green products now, it is not enough to reach new clients; you will have to share with them what benefits these products bring. One great way to attract customers is to share the benefits with the help of exhibition stands. Organise an event to let people know that you change the direction of your business. When you make the description of your products, you should use certain keywords. They let people know the benefits they will have if they choose you. Make sure that you let them know that they will use eco-friendly products. Your products bring multiple economic, social and environmental benefits. You should also highlight the fact that your products are not toxic, and both the products and the packing are environmentally friendly. You should also make sure that the buyers know that your products do not include toxic chemicals and other similar harmful elements. They are healthier for the persons who consume them, in comparison with standard products. When you promote your products, make sure to share on display stands that your products are biodegradable, and once they get into nature they will decompose into elements that do not harm the environment. If you are an eco-friendly company then you will show your support to the local organisations that fight for a greener world. You should support local eco-friendly programs, organisation initiatives, and different other actions that help the world become a better place. You should motivate your employees to get involved in the process. You should establish a day when your team leaves the office and fights for a cause. You should clean the park from garbage during that day, plant trees or do whatever activity you consider that will bring a change. If you promote community involvement, people will trust that you have the needed commitment to transform your business into a green one. If you want to transform your entire business into a green one, then you should also change the way you promote yourself. You should use no longer paper, you should use only online methods to promote your products and services. Not only that you help the environment, because you cut down the resources used to manufacture paper, but you also save money, because online marketing is cheaper than traditional one. People do not have to buy the newspaper, you can send it to their email address. If you place an online banner, you will pay less than if you place a traditional one. And you have a positive impact on the environment. You can take advantage of social media, because this is the most effective way to get in touch with your customers and to increase your prospects. If you count on discount coupons to attract customers, you may think that you will not be able to complete the transition, because people still wait for their coupons to get to their mail. But if you send them on their email, they will have the same benefits, only, that they will not use the paper coupon, but the digital form when they will want to use the discount coupons. The environment is at risk lately. Everyone is pulling alarm triggers on how the actions we do affect the environment. Even though it may seem like things are still going on the way they should, changes are visible. Global warming is real, and it has numerous causes, among which you can find some of the activities you involve yourself into each day, irrationally. The principal cause of climate change is the amount of carbon dioxide that is released into the atmosphere. Carbon dioxide traps the heat and warms the planet. Humans are responsible for this because of certain industries. In order to obtain energy, factories burn fuels like oil or gas, which leads to carbon accumulation. Luckily, this problem can be addressed by simply modifying some of your daily habits. Simply going for UK 3M tape converters instead of the normal products you’d be using can make a difference. Most people refuse to make a change because they consider such a small behavioral modification to be irrelevant for stopping global warming. This attitude should not be promoted. Instead, one should learn more about living a greener life and the importance of such small changes for the environment. The first changes you want to make are related to your daily habits. Start by easing into it. Rushing and wanting to make all changes at once won’t get you anywhere. You need to replace one habit at a time. Start by recycling and investing in recyclable products. Are you a fan of on-the-go coffee? 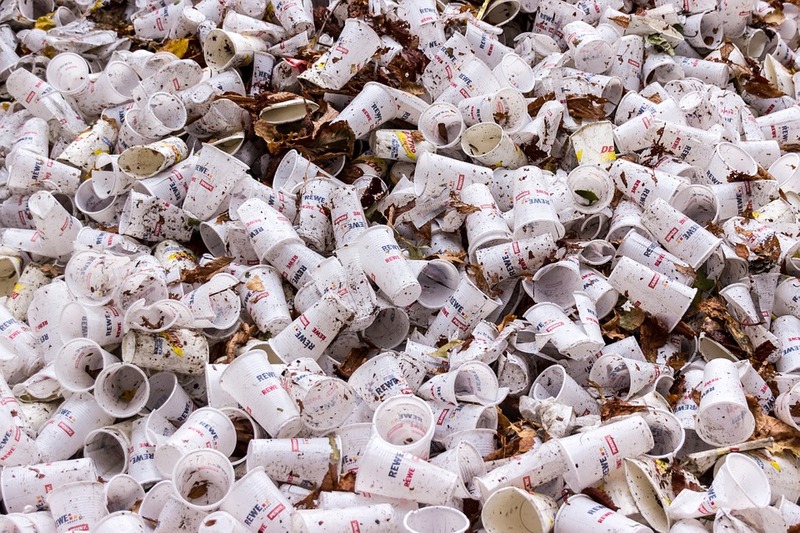 Try to avoid Styrofoam cups, since they are very damaging to the environment. 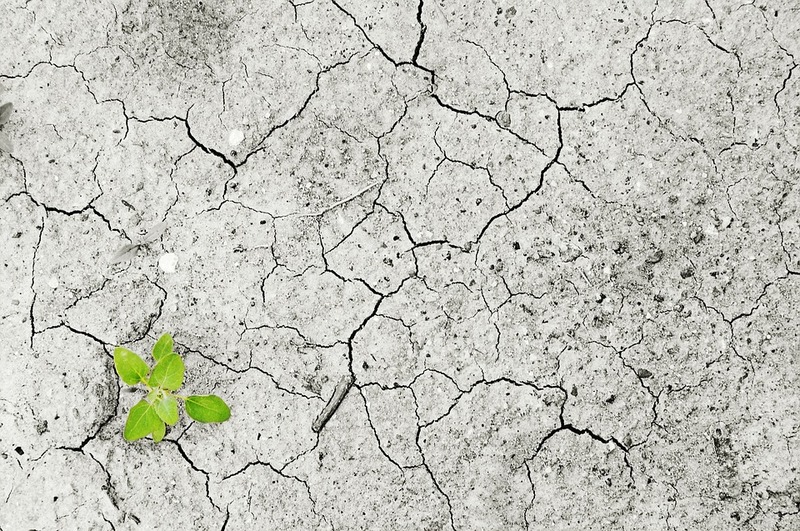 Many huge brands started to adopt an environmentally-friendly strategy. Promoting these companies and encouraging them by buying their products/services is a great way to start with. Going to work with your car every single day is not green living. Lately, hybrid car models started to become cheaper and cheaper, so if you don’t possess a car yet, put some money aside for an electric one. In case you already have one that runs on gas, focus on carpooling. It is cheaper, much more efficient and you get to socialize more. Walking is not excluded either, in case your job is not far away from where you live. This represents your daily dose of sport and will keep you in a good shape. Plus, you’ll help the environment, so it’s a win-win situation. People consume lots of water and light inside their homes. You can drastically reduce the use of light and water if paying more attention to your actions. Turning the lights on only when it is absolutely necessary and switching them back off when you are done is a condition. Unfortunately, most people don’t consider this relevant. It actually is, and it can make a huge difference if everyone would apply it. The same goes for water. An insignificant detail to some, letting the water running while you are washing your teeth is just a waste. Once you become aware of these habits, try to combat them and replace them. On the other hand, if you own a company and you want to transform it into an environmentally-friendly one, you might have to invest some resources in it. Companies usually produce much more waste than a simple household, so the first step would be dealing with recycling. Finding a partner that can help you with this matter or hiring specialist to take care of your waste are both great methods to take care of your carbon footprint. As for smaller changes, you can choose other suppliers that deliver recyclable products. For instance, if your company works with a lot of plastic, focus on finding other similar providers that work with recyclable products. You can find anything that’s recyclable, even passport security labels. There are no limitations when it comes to recyclable products. The secret is to get interested in this topic and transform your business in a green one. Don’t keep your actions to yourself. Talking about the changes you are making might inspire others to take your examples and start a becoming-green journey. The more you promote friendly environmental behaviors, the higher the chances of attracting people into it. The mentality of people is very difficult to change, but it matters tremendously. Social media and many public figures started to focus on promoting becoming green because problems are now quite serious, and the society is the only thing that can make a difference. Without modifying our behavior, the Earth will have a lot to suffer. These dramatic changes will affect people negatively and they will have a rough time living the life they desire. Those homeowners who want to lower their electricity bills or minimize their negative impact on the surrounding environment can tackle small energy efficiency improvements that make a huge difference, from controlled ventilation, window treatments and advanced framing to insulation, non-traditional roofs and skylights. More specifically, those people who live in a hot climate can install fans throughout the house instead of resorting to air conditioning because not only it keeps the living space cool, but it also helps them save money. Mechanical ventilation prevents structural damage over time and health risks because it creates a cozy ambiance while reducing air moisture inflation. Another method that allows homeowners to maintain the air inside cool while reducing heat loss is purchasing linen curtains, which have the purpose to control temperatures. Optimum value engineering saves energy as well by using more insulation thus preventing the waste of wood. Houses in warm climates should have cool roofs, which reflect sunlight and skylights, which improve ventilation, lighting and heating. There are many easy ways through which people can boost their home’s energy efficiency including trading incandescent light bulbs for compact fluorescent lamps (CFL), lowering the thermostat or opting for a programmable one, buying a front-loading washing machine, unplugging appliances when not in use, particularly in the kitchen, inspecting doors and windows in order to ensure proper weather stripping and caulking. However, what happens when you follow most of these instructions, but you still experience a shock when you open your monthly electric bill? You probably cannot find a logical answer or explanation for all the power consumed in a single month, but you probably have not realized yet that you are feeding daily the most energy-hungry area in the house, namely the kitchen. Just think about all the appliances destined for cooling and heating foods, from oven and microwave to fridge and stovetop. Obviously, just like everyone else, you cannot stop from using these appliances, but you can learn how to get the most out of them. We understand that most homeowners do not afford or do not want to invest in the latest models, particularly if their current appliances are in perfect condition so with a few simple changes, they can save both cash and CO2, in case you decide to adopt a low-carbon lifestyle. For instance, taking into account that you can reduce costs by washing your clothes at lower temperatures because the washing machine uses less electricity, you can apply the same principle to your dishwasher. More exactly, if you avoid turning it on when you do not necessarily need to, you automatically save not just electricity, but also water. You do not have to make great compromises; you just cut a single dishwasher cycle weekly. 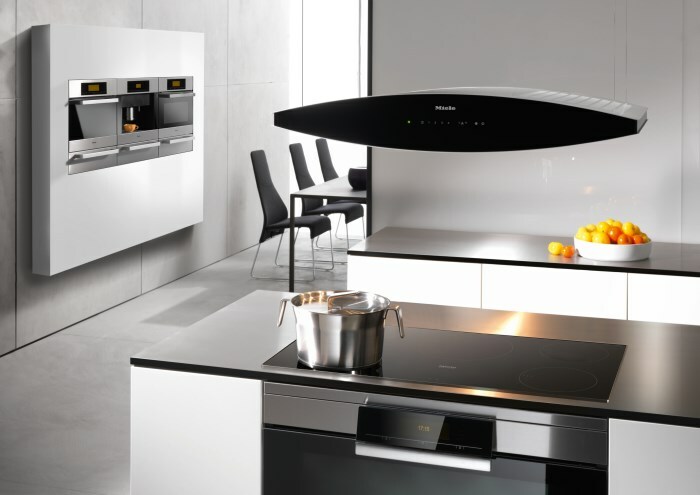 Furthermore, make sure that you know what appliance to use for every task. This means that if you want to cook simple desserts or fast breakfasts in the morning, you should definitely choose the microwave instead of the oven because it uses less energy in order to heat the food directly, not just the air around it. Of course, if you are willing to explore wood burning cook stoves and invest money in a superior quality product, then you can feel free to use it whenever you consider appropriate. 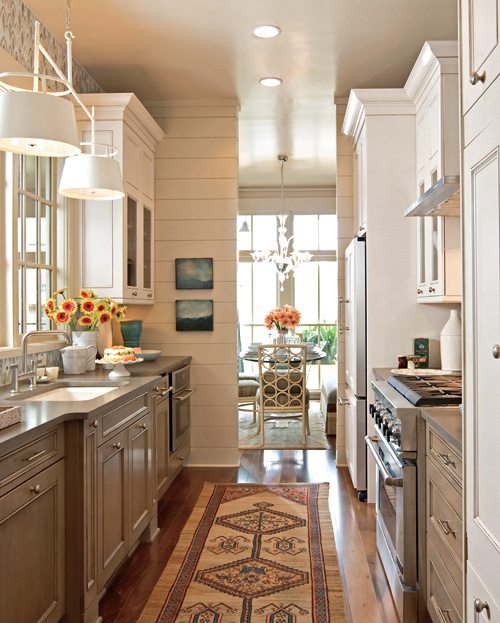 The main idea is to make sure that you reconsider your kitchen decisions if you want to increase energy-efficiency. The majority of people cannot resist the temptation of opening the oven door slightly just to peek inside and determine the progress of their cooking, but this minor gesture leads to a great amount of heat being released in the kitchen and you know it because you feel it hitting your face. Satisfying this morbid curiosity is more than possible and actually more energy efficient if you just switch on the oven light or if you know precisely the amount of time your pie needs to grow or your turkey breast to roast and you turn off the oven when the food is done. Other tricks that you should keep in mind when using the oven refer to using the right dish, preferably glass or ceramic because they represent better conductors of heat, not to mention the aesthetics, checking for leaks periodically in order to identify potential signs of tears or gaps and avoiding putting foil on the oven racks, which decreases the efficiency of convection ovens. Since we already discussed heat, you should probably know that the most energy consuming activity in the kitchen involves boiling water on the stove. Even if you put into practice the ideas or pieces of advice mentioned above to save energy, if you continue with this practice, you are practically pouring it down the drain. Even more, people tend to waste water unnecessarily by keeping the pot or kettle under the faucet for too long and heating more water than they actually need for a cup of tea or coffee. This represents a bad habit that most homeowners out there developed in time without knowing or realizing that it actually makes them lose money. Moving on to another energy consuming appliance, namely the refrigerator, the truth is that you have to keep it plugged in so that it maintains a constant temperature and prevent all the food from spoiling. In fact, you cannot even unplug it when you leave home like you can do with other appliances in the house. Fortunately, there are ways to increase its efficiency. These refer to never putting hot food in the fridge because it will raise the temperature in the ice box, thus making its job more difficult, never leaving the freezer empty because it allows the warm air to enter when you open it, thus necessitating more energy o cool down again and ditching the automatic ice maker for ice trays. Of course, the first option is more convenient, but it also consumes more energy. We as consumers also have a responsibility. We must be careful about wasteful energy usage. The more we consume energy, the more we have to pay in energy bills and pay in the form of environmental damage. Jim Bridgeforth, President of American Power and Gas, is among the few people who seem to be really worried about the wasteful use of energy. He knows it is scarce and he is doing his part to create a renewable energy Future, one that is affordable and efficient. In a Recent Interview with Forbes, Bridgeforth stated that 80% of all energy consumption in the US comes from the industrial sector, thus making the transition for consumers tricky as they are all sourced from the same grid. Essentially, widespread use for consumers has become something that requires a higher initial cost, which most can't afford. A refrigerator uses a lot of energy. 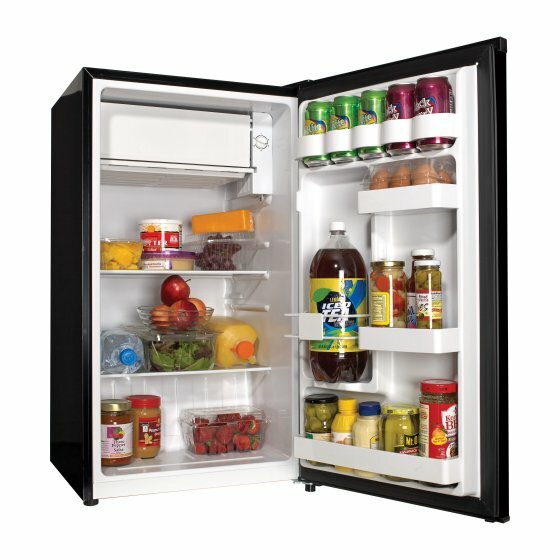 All electrical items that cool things require large quantities of energy, refrigerators are no different. They use 4% of all electricity, costing about $100 per year. However, you may end up paying a lot more if you don't pay attention to the small things. To reduce the cost, make sure not to leave the door open for long. This allows the cooling to escape, forcing the refrigerator to work even harder, resulting in more use of energy and hence higher costs (not to mention it could spoil your food if left open long enough). America is one of the coldest nations out there, especially some parts of it, which is why heating costs are pretty high averaging about $650 per year. To save money, try to use other techniques, such as keeping your Doors and windows closed so that no cool air can enter your home. Other than this, install insulators and keep your house covered to make sure you do not have to use a lot of heating. Also, keep an eye on the thermometer, make sure you remember to shut off heating and cooling systems before leaving the house. Computers only use about 1% of the energy costing around $25 per year, but if you have several computers and smartphones charging at all hours, the cost may go a lot higher. They make up about 13% of the overall energy cost. Washers use a lot of energy. They constantly move and keep the water in motion to do the job. Similarly, dryers are also expensive to use. Try to avoid doing Laundry every day, or get it down to 1-2 times per week. It is expensive to produce heat, and the yearly cost associated with using a dryer can be as high as $325. If you are a fan of baking and cooking, you probably are using your oven a lot. On average, they make about 4% of the total energy consumption, which makes about $100 per year. Go slow on over usage and you can save money. The highest level of energy consumption in your household (which of course impacts the environment) goes on heating. Seeking friendlier heating options is recommended when you are trying to green your household. Infrared heaters, for example, are an excellent choice in this department, offering an energy saving that can reach even 50 percent. You can however analyze all your possibilities and choose one that you think will work for your lifestyle best. Moreover, if you want to maintain the temperature of your household at an optimal level throughout the entire year, without relying solely on heating or cooling devices, or turning these systems to their maximum capacity, you should also make sure your windows are perfectly sealed and your home insulated. You would be surprised to discover how much of a difference an isolation replacement can do in terms of temperature preservation and energy bill lowering. 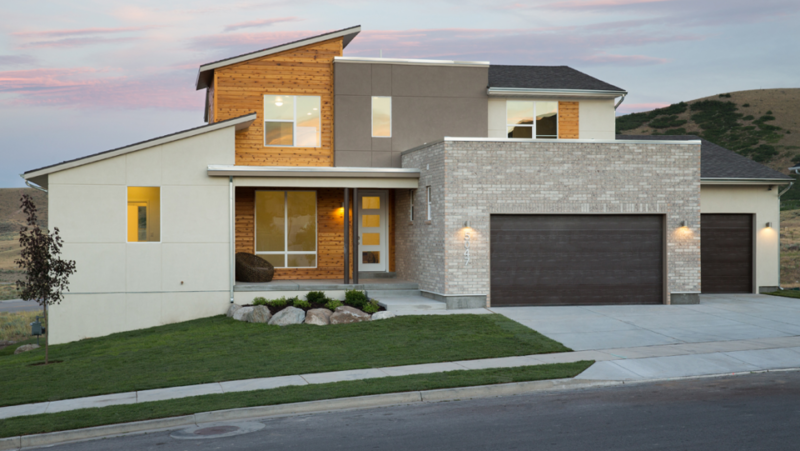 Reinsulating your property is the type of costly project that is worth every penny, and luckily, more homeowners have started to realize this aspect, and to pursue it. Energy efficient light bulbs have been available to homeowners for quite some time now, but despite this fact, many households are still using traditional options. Switching to LEDs that use far less electricity is one of the first changes that you should make in your household, and the easiest as well. This decision makes sense even for those who might not have a green perspective on things, considering less energy consumption means lower utility costs. Energy efficient light bulbs will also last longer, so this solution provides you only with benefits. 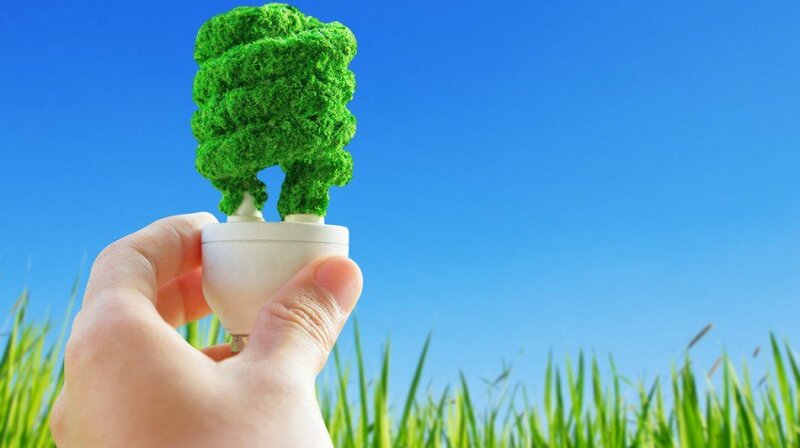 When talking about making your home more environmentally friendly and adopting greener lifestyle routines, energy efficiency is one of the first things that probably pops in mind. While you have numerous possibilities in terms of lowering your energy consumption, considering your appliances are utilizing so much energy, replacing a few of them with alternatives that are more efficient in this department is an option worth your consideration. Taking into account the fact that you don’t exactly need to “think green” when you are getting new cutlery items and dishes, or furniture items, for example, adopting this eco-friendly purchase habits when replacing or purchasing appliances will not involve such a great effort. Since manufacturers have realized the impact they have on the environment and how much people have directed their focus on this issue, numerous brands have brought to buyers’ disposal an impressive range of energy efficient counterparts. From refrigerators and washing machines, to the common coffee maker and vacuum cleaner, almost any device you are now using in your household has an energy-efficient alterative. Moreover, this will not only be a positive decision from a green point of view, but from a financial one as well, considering you will manage lowering your bills. Check the tag of any appliance before purchasing it. 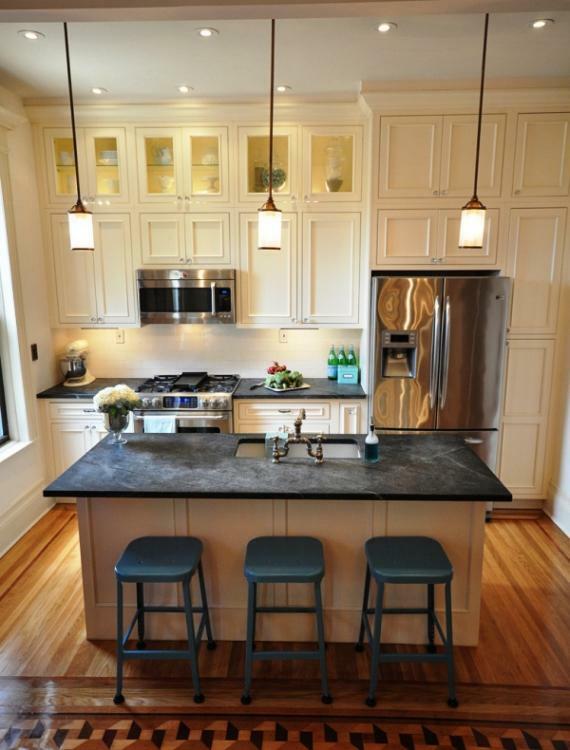 You can adopt greener routines, when it comes to utilizing your kitchen and bathroom as well, with a few accessible and easy fixtures. Using less water is something that needs your attention when you desire to go green, and while you might not want to cut down on your showers, and thus have your comfort be affected, relying on low-flow faucets and shower heads is a great solution in this situation. Low flow fixtures of this kind are known for using far less water than their traditional counterparts, and you will end up saving gallons of water at the end of each month. Without having to give up on your regular water consumption practices, a reduction will be provided. Costs linked to water heating will be reduced, energy will be saved, water bills decreased – three major benefits that can certainly not be neglected. Also, incorporating these fixtures will be an easy and fast process. 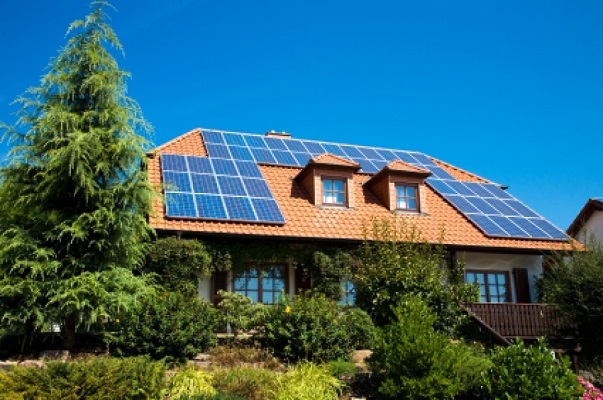 If you are truly committed to go even further with your environmental protection habits, the installation of solar panels is also something worth the thought. A house that can be completely characterized as green will have this feature. 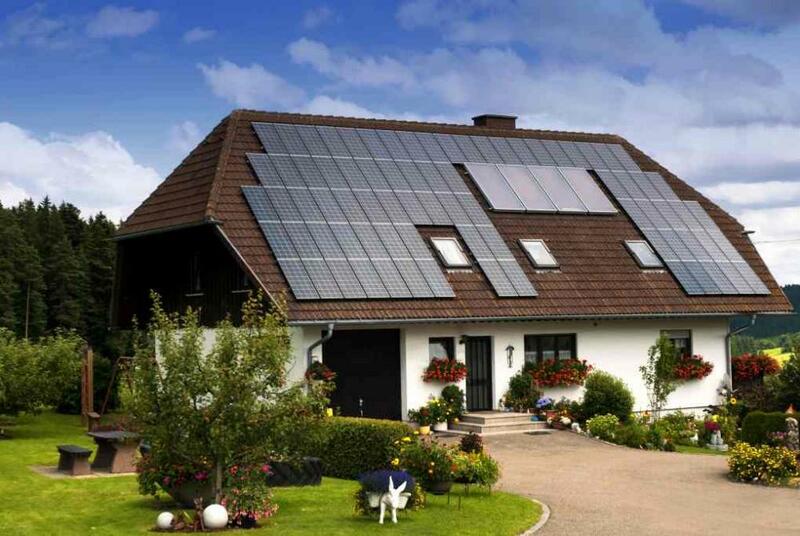 Solar panels will enable you to access a source of electricity that is 100 percent clean. Although the finical implication of this project might be extremely expensive for the average homeowner, and the monetary returns might be noticeable only after a decade or two, if you can afford it, and if you value eco-friendliness making the investment is, of course, advised. If you have always been an eco-friendly type of person, and you want to continue making a difference in a world where pollution and environmental degradation are becoming bigger problems with each passing day, greening up your home should be one of the things to start with. The ideas mentioned above are the ones that have been most widely used by people in 2018, and ones that you can easily pursue yourself. A few changes around your home can be all it takes to take green living to another level, so keep each one of these ideas in mind. It is well-known that food bought in large quantities ends up thrown away. Well, producing this food that gets simply wasted consumes a billion hectares of farmland, kilometers of water and tonnes of carbon dioxide. The size of the farmlands used is similar with the size of Antarctica and saving the water that’s wasted on thrown-away food can fill up almost half a million Olympic-sized pools. Reducing your waste food-print by recycling is paramount, so consider composting and other methods to recycle food. The same goes for energy. Starting carpooling instead of using your personal car to go to work each and every day (especially if your job is outside the city), walking to work or even buying hybrid car models, which are more and more popular nowadays are methods that could help saving energy. 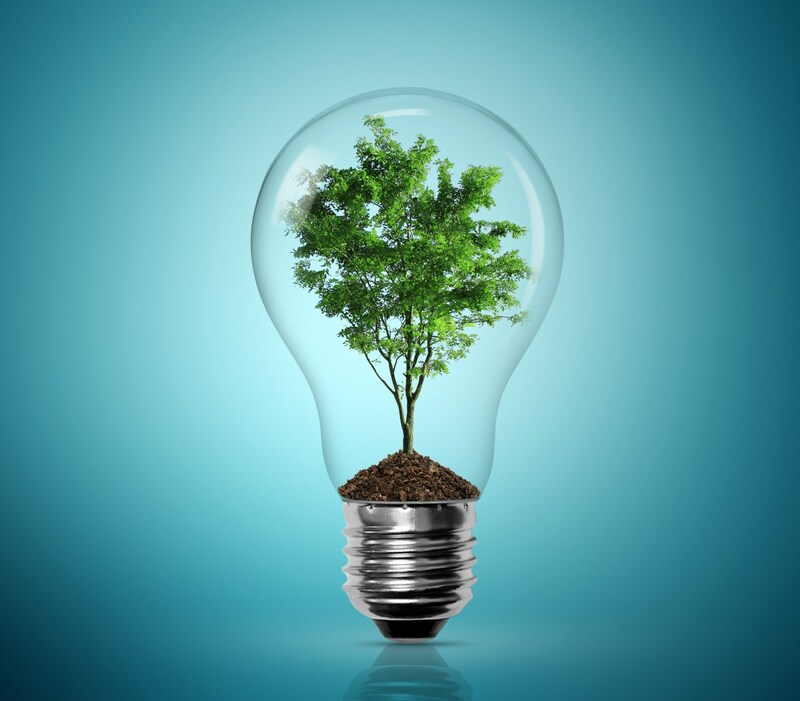 Energy saving light bulbs are one thing that everyone knows about. Simply changing the light bulbs in your entire house can have a huge impact on the environment. Plus, you will be saving money yourself and use it as you please at the end of the month. Analysing your appliances is part of the process. Older appliances tend to consume more energy than new ones, so keep that in mind next time you renew your house. Don’t forget to use storage units when you no longer have enough space to store things that you don’t want to throw away. There are plenty of items that you can repurpose. For instance, you can try using toilet paper rolls to keep your cables & chords tidy and organized. Everyone knows how difficult it is to organize cables, and this is a wonderful solution to that issue. Also, talking about changing light bulbs, you can repurpose the old ones by transforming them into candles. There are tutorials on the Internet to help you do that. Old plastic CD holders can easily become bagel storage devices if you have enough imagination. Recycling is great for paper, aluminum, plastic and other waste materials that sit around your house. The easiest way would be sorting out your waste and looking for a recycling center that deals with tasks like these. Doing it yourself might be a little bit difficult, but you can always change your habits to produce less waste. Metal recycling can be a process complex and the majority of people have no idea what it implies. The first thing you should know is that the process includes sorting metals according to their quality and type. It is important to pay more attention to recycling nowadays, because metals are versatile and essential to a large number of industries. 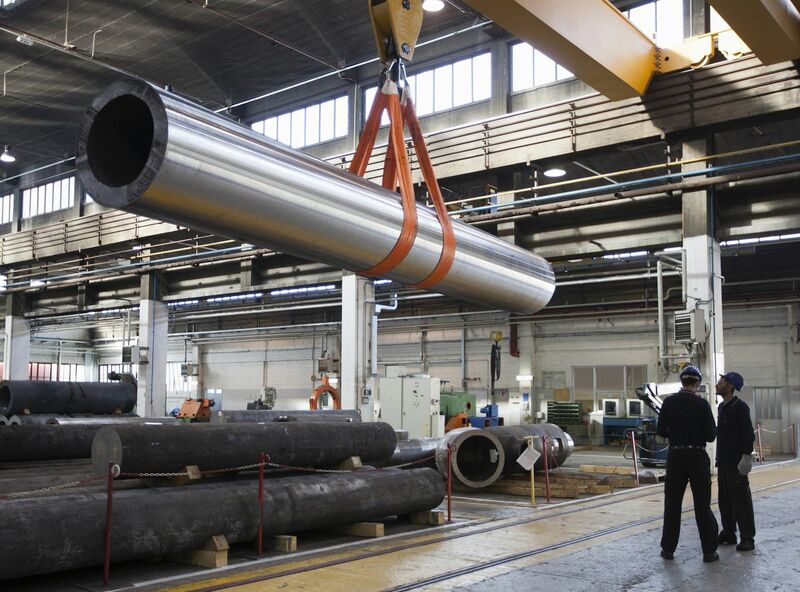 They can be used in the manufacturing industry to create airplanes, cars trucks, railways and ships. Also, metals are used to create domestic items as crockery and cutlery, and sometimes they are used even in packaging. Moreover, what is amazing about metal is that they can be recycled and their properties will not be altered in the process. Usually people recycle steel and aluminum, but this does not mean that the other ones cannot be included in the process. However metals as brass, silver and gold are too valuable to be recycled, and people take good care of them. Why should people recycle more? Metals are valuable materials because they can be recycled multiple times without losing their properties. The process of metal recycling in Toronto can bring you a lot of money, and this should motivate you collect every metal item you have around the house. In addition to this benefit, it is important to recycle metal, because we have to protect the environment. If people recycle metals, they help at the preservation of natural resources, because recycling requires less energy than to manufacture products from new metals. Also recycling emits less harmful gases as carbon dioxide. And where you count that recycling creates jobs, so it is important to pay it the required attention. The most important step in the process of recycling is to collect them. You will have to carefully collect every item made from metal and place them in the right container. Make sure you place them in the especially designed containers, because other way they may lose their properties. Also, you have the possibility to take the collected metals to the local scrap yard, because you will receive money for the quantity you have collected. Every one of the metals is paid differently, so make sure to check the prices before. When you collect a large quantity of metals, you have to take some time to sort them. In this way, you will see which one of the items is recyclable and which one is not. The quality of the metal objects is very important in the process, because a high quality recycled object will lead to the manufacture of a good quality item. Every one of the metal parts you will take to the crap center will be checked for its qualitative features. 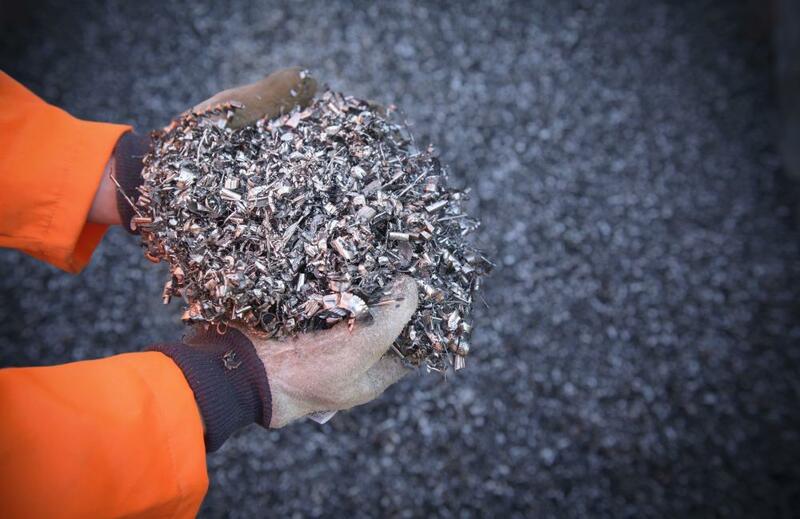 The next step in the process of recycling the metals is to shred them. This action is essential to promote the melting process, because in this way it is required less energy. Steel is melted under the form of blocks and aluminum as small sheets. A large furnace will be used to melt the shredded metals. According to the type of metal, a special furnace will be used. The amount of energy used to melt the metals is lower than the one of extracting and manufacturing metals from the virgin ores. The size of the furnace will influence the amount of energy and time. The process may take from a couple of minutes to multiple hours. Once the metals are melted they have to be purified. Depending on the type of metal, various methods can be used. One of the methods used during this process is electrolysis. Some types of metals are passed under magnetic systems for separating the metals. This process is important because the manufacturers have to make sure that the final product is free of impurities. If you want to collect the metals around your house, it is important to know what types are recyclable. Metals are categorized as non-ferrous and ferrous, the last type features combinations of carbon with iron. Some of the ferrous metals are cast iron, wrought iron, carbon steel and alloy steel. From the category of non-ferrous metals, we can list tin, zinc, lead, copper, and aluminum. You should know that precious metals are non-ferrous metals. They include palladium, iridium, silver, gold and platinum. Metal recycling should receive the needed attention, because it has the potential to offer multiple business opportunities. In case, you want to find more details about this subject, you can find multiple online guides. With their help, you will understand better the factors that influence the scrap metal industry, and what opportunities you can have. A global concern in the late years has become adapting to an environmentally friendly lifestyle. This includes limiting the waste of different kinds, recycling and educating children in the spirit of recycling and caring for the environment. After all, recycling should become a common sense action. However, in less developed countries, only now such practices seem to emerge. However, this is not the case of Canada, a country with a long history of recycling and searching for environmentally friendly solutions continuously. For instance, this company specialised in metal recycling in Toronto has a history of ten years of helping the environment in a sustainable manner. Moreover, their services allow increasing the metal recycling rates in order to avoid over exploitation of the ferrous and nonferrous metals. Besides the large companies, we all comply with a set of rules, written or common sense rules, in order to minimise our impact on the environment. Minimising the energy consumption, creating a well-documented waste management plan and recycling are some steps we must take in order to succeed. However, our care for the environment must not be hard to understand, given the fact that we must preserve it for the future generations. Below are some simple steps we could take in order to adapt our lifestyle to an environmental friendly one. Although many think of recycling as a complicated process, we must know that we only need to put minimum efforts into managing it. Take metal recycling as an example. In order to properly manage this process, we only need a minimum amount of tools, and some attention to what lies around in our houses, garages and backyards. Moreover, many have found that done regularly, metal recycling is a great way of making an additional amount of money. As a matter of fact, you only need a magnet and several containers in which to sort out your metals, if you want to succeed at metal recycling. The magnet will help you differentiate between ferrous and nonferrous metals, and the containers will host them until you reach a recycling centre. About the prices of diverse metals, you could get the necessary information from official websites. They provide all the prices for diverse metals, making it easier for you to figure out the amount of money you should get from a recycling centre. You can find waste metals in diverse objects, from empty soda cans, old automobiles, or even old cutlery and kitchen appliances. Of course, if you don’t want to take your metals to a local metal recycling centre, you could develop your own DIY projects and repurpose them in decorative or practical objects. Ideas are plenty; you only have to look in the right places. Since waste management has become a serious issue and concern in the past few years, you should take your time and develop a sustainable plan. Specialised agencies came with plenty of tips and tricks, and we will present you a couple of those. Specialists advise us that before implementing a plan, we must first assess the amount of waste that we produce. Take note of the fact that waste disposal is not cheap and it is better to prevent the accumulation instead of getting rid of it. Moreover, prevention is even more eco-friendly than disposing it. You could limit the amount of waste that you produce by only using those particular materials and products that are recyclable. If not, take them to dedicated recycling centres. Light bulbs, electronic waste, they all need to be disposed in a certain way. It is advisable to find a reliable company to help you with this process, because it is in fact under strict regulations. Energy audits, home insulation solutions and proper heating system installation might seem as unnecessary expenses for many. But while they minimise one’s impact on the environment, these solutions are also perfect for decreasing the energy bills a family has. Insulation will minimise the energy consumption necessary to maintain a proper indoor environment. This will decrease the greenhouse gas emissions, therefore the impact your household has on the environment. This also applies to HVAC installation services as well. Done improperly, these systems will have a higher negative impact on the environment, due to increased levels of greenhouse gas emissions. These are three of the most common solutions one could implement in their household in order to reduce the negative impact of the modern lifestyle on the environment. Always try to educate your children in this way and involve them in recycling, waste management and so on. If you ever wondered which are the industries that generate the most waste, this article is for you. Toxic or solid waste, there are several industries which make themselves notorious though such attributes, which nonetheless, affect our health and the environment equally. Our list has some surprising industries, while others are extremely obvious. You can read more below. This may surprise many, while others, especially those working in the industry are more than familiar with the matter. Car repair shops and the auto industry, in general, is one of the largest waste-generator in the world. Especially producing incredible amounts of toxic waste – oils, paints, lubricants, not to mention the solid waste of which these are responsible. Old car parts, old vehicles, and various other components, make this industry to win a rightful place in our top. Nonetheless, certain repair shops put enormous efforts into reducing the waste generated, by implementing smart waste-management solutions, like those proposed by Mil-tek a decisive player in the waste management industry. Many auto repair shops put great efforts into minimizing the physical amount of their solid waste, especially plastic waste and use pneumatic barrels for this purpose. This may be the only solution various industries might have in order to become friendlier with the environment. Another surprising entry in our top, furniture manufacturing businesses generate impressive amounts of both toxic and physical waste. In spite of the popular belief that many have, furniture manufacturers don’t use exclusively wood in the process. Some of their raw materials are composites and in order to get those and create the furniture pieces in their portfolios, chemicals are used. Also, solvents are used at a large scale in the industry, which makes it one of the main generators of nitrogen oxides. Also, ignitable waste and paints and a series of environment-damaging chemicals result from the manufacturing process as well. The furniture manufacturing industry is also trying to minimize the impact on the environment, especially when it comes to solid waste. However, further steps have to be taken in order to achieve a sustainable balance. This industry is mainly guilty of an enormous volume of toxic waste, as the products used in the cleaning process are rarely environmental-friendly. Chemicals are a rule of thumb when it comes to this industry, as stubborn stains are usually removed by using a strong mixture that includes high concentrations of acid-based chemicals. As environmental concerns are growing, certain companies turned their attention to more environmental-friendly cleaning solutions and products. Steam cleaning seems to be the preferred option by many players in the industry, nowadays. This comes naturally, as this industry is generating incredible volumes of solid waste, diverse in characteristics and handling requirements. Many of these are hazardous, but concerning is the fact that this sector is generating yearly more than 4.000 t of solid waste. If the big players in the filed would be more concerned, and would take action, the waste could be diminished at half of this number. Certain solutions are developed in order to minimize solid waste and these are suitable for various industries. Also, the oil and gas industry is generating large volumes of toxic waste. Worth noticing is the fact that some companies in the field put great efforts into finding solutions in terms of recycling part of the waste generated by their enterprises. Obviously, this is an industry which generates enormous volumes of hazardous substances as a by-product of its activity. While a small number of companies in the field have turned their attention to friendlier inks, the vast majority still uses chemicals and toxic inks. This fact forces them to label appropriately their waste and always dispose of it as hazardous waste. The waste disposal cannot be handled by the company itslef, the vast majority of these companies needing assistance from third-parties in order to manage this part of their activity. The metal-working industry is a big generator of chemical waste, as the processing steps oftentimes include chemicals that are damaging to the environment and human health. For instance, solvents, heavy metals, paint and cyanides are frequently used. However, the companies that specialise in processing metals, are also forced to dispose of their waste by accessing the services of a third-party, specialised in such matters, or implementing themselves an in-house waste management system, based on all the regulations in force. The waste-generating industries are plenty, and summarizing those is oftentimes difficult. If your company is a manufacturing one, then most certainly it produces more waste than you would like to admit. However, some pragmatic solutions that allow companies to reduce the volume of waste generated are available on the market. Make sure to collaborate with trustworthy suppliers in your journey of becoming more environmental-friendly. In order to lower down your energy consumption, while not compromising on the comfort of your indoor temperature, replacing a traditional heating system with one that uses a renewable source of energy is recommended. A great option in this department are modern wood stoves. These home additions are known for their efficiency in terms of heating, and also give homeowners the possibility to minimize energy consumption and lower their bills with even 50 percent. The installation of a wood burning stove will be a win win situation - you will be opting for a green source of heat, that will allow you to reduce energy consumption, and at the same time you will be saving money. So give this possibility some of your consideration - you will rapidly find an affordable item of this kind just by searching on the internet. Remember to switch it off! Besides our heating system, there are numerous appliances found in a household that can consume a lot of energy, and thus create carbon dioxide in the atmosphere. Besides buying Fireplace inserts, as mentioned above, there are other ways you can easily reduce your monthly energy consumption. Whether it’s TV left on while nobody is in the room, or a computer plugged in although nobody is using it, if you are like the majority of all other families, leaving appliances switched on probably happens with regularity. Remember to always turn off the light and any other appliance, and make sure to teach your children to do the same. Also, if you are truly dedicated to going green, you can also replace some of your home appliances with those that have reasonable energy ratings. Traditional light bulbs usually consume a lot of energy, and they can also burn out extremely easily, which is not at all convenient. You have the possibility of replacing these traditional options with LEDs - light emitting dlodes - or with compact fluorescent lamps. These will save a significant amount of energy at the end of each month, and they are also characterized by a longer life span. You will soon be able to notice your electricity bills decreasing. Even if it might seem difficult at first, reducing water usage is something that you should try doing. To help save energy, as well as money, start washing your clothes in cold water, and air dry them naturally instead of using any appliances for this purpose. You can also think about installing aerators on your faucets, which can have a beneficial role. Replacing your shower heads with low flow one is also something that can be advantageous in this department. Take shorter showers, never leave water running when you are not using it, and consider native vegetation for your gardening, because it requires less water consumption. All of these details will add to your new green way of living. Yes, it might be incredibly comfortable to walk out the door, step in your gas-fuelled car and go to work or any other place. Nowadays, people have become addicted to their vehicles, and giving them up seems impossible. However, as you probably know, the production of carbon triggered by traditional vehicles is the one that affects the environment on a daily basis, and while it might seem difficult to actually do something about this issue, you can start with your own family, by minizine the patterns of carbon producing. This means, you should skip on driving and take the bus to work, consider carpooling with other co-workers, or even better, ride your bicycle. If you find it difficult to not travel by car on a daily basis, and if your budget allows you, switching to a hybrid, electric car is also a beneficial option. Traveling eco-friendly remains incredibly important. 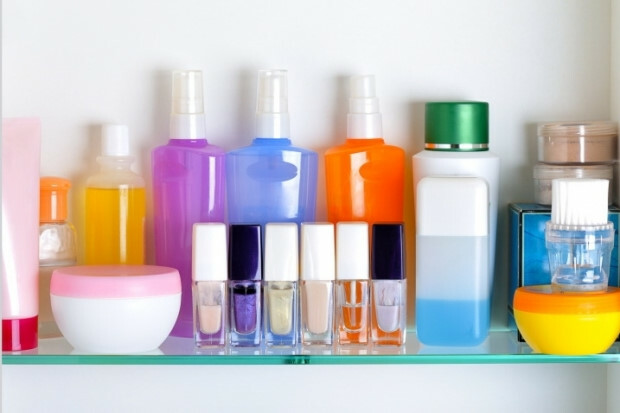 Once you open your cleaning supplies cabinet and start reading the description of each product, you will discover how many chemicals they contain. In order to go green by the book, you will need to start cleaning green as well. Stock up natural alternative, ones that have a more pleasant smell. The market stands at your disposal with numerous great options in terms of cleaning supplies, you just have to look for the best ones, and perhaps do a bit of research before actually making a purchase. By making a change in this department, and adopting appropriate recycling habits, you will be making your household even more eco-friendly, and this is after all, the ultimate goal you are trying to achieve. 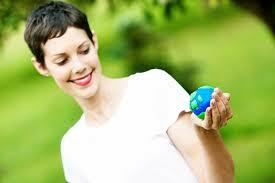 With today’s aggravating level of pollution, going green is something that any individual should consider doing. If you have always been the environmental friendly type, and you want to take your principles regarding the subject one level further, adopting a green way of living, and making some changes in your home that can contribute to this goal is recommended. The ideas stated above are only a few of the many ways you can make more eco friendly choices. From installing a better heating source in your home, and thus saving energy, to traveling green, each one of these tips has their own relevance and should be considered. Indoor air quality means the condition of the air that you and your family breathe inside your home. This is an important concern because you spend most of your time indoors and you could be exposed to environmental pollutants. Air pollution is largely considered as being outdoors, but the truth is that the air in your house is more contaminated. Indoor air pollutant levels are higher than outdoor levels. Indoor air pollution happens when toxic contaminants and gases infect the air. You shouldn’t assume that that your home environment is completely safe. Considering that Toronto’s environmental pollution is still causing serious health issues, you can’t afford to take any chances. Be sure. There are many ways to tell if the indoor air quality is bad. One of the best ways to know if you have poor home air quality is to have it tested. Sure, selecting Toronto air quality experts is a daunting task, but the Internet has made the process a lot simpler. 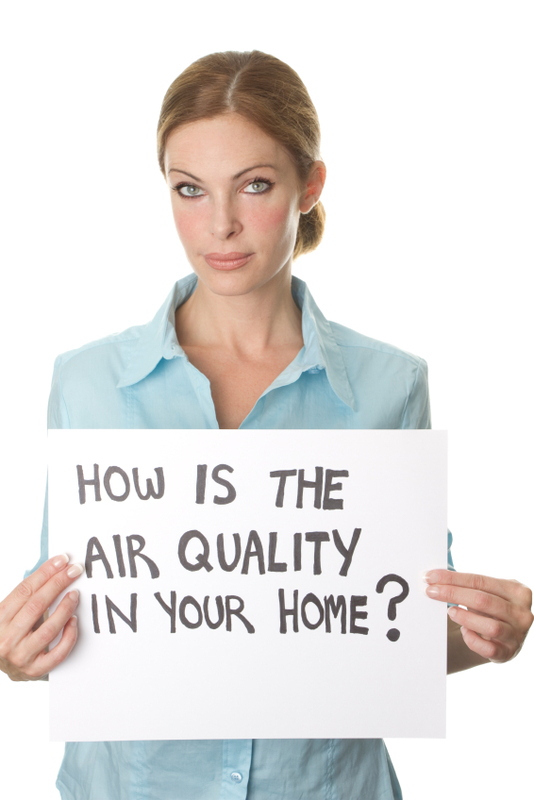 The air quality experts will investigate your indoor air quality, thus being of great help. What the trained professionals do is offer you peace of mind. You will know for sure whether you and your family are living in a healthy indoor environment. Don’t waste your time with test kits. They aren’t reliable, not to mention that they are expensive. You should better invest your money in professional indoor air quality testing. The consultants will be able to detect even the tiniest sources of poor indoor air quality. The best thing you can do is call in the professionals. It’s hard not to attribute an allergy episode to a climate change. Yet, you could be having a sensitive reaction to indoor allergens. The change in weather patterns isn’t to blame, but animal dander, dust mite droppings, and mould. They are the ones overwhelming your immune system. If you experience rashes, watery eyes, trouble breathing or you have a runny nose, then chances are that you have poor home air quality. Pay attention to when and where the symptoms appear and disappear. If allergy symptoms occur when you stay at home, you have a problem. But what if you don’t have allergy symptoms at all? Well, take notice of your loved ones. Their sensitivity is a good indicator of indoor air quality. There is nothing more important than the health of your family, so don’t ignore the aforementioned sources of indoor air pollution. Look for these culprits even before you have your home tested. It’s not uncommon for mould to grow and homes. What is uncommon, on the other hand, is to inhale mould spores. Mould poses threats to the health. Harmful effects of mould include allergic reactions, rashes, coughing, and eczema. But these should be the least of your worries. Exposure to mould leads to infection, respiratory problems, and even cancer. Mould is not as easy to identify as you may think. The fungus is usually hidden from the view, so finding its source can be difficult. Places you need to check are the corners where the walls meet the ceiling, behind appliances, and in the basement. Home improvements and repairs can affect the indoor air quality. How so? Making updates results in strange things. For instance, if you install a new A/C, you and your family can get sick. The filter retains all kinds of germs and bacteria, so if it isn’t cleaned regularly, it can become dangerous. Other changes that affect the home environment are removal of asbestos and lead-based paint. If you haven’t gotten to cleaning up after such projects, it’s time you did. The last thing you want is to suffer health consequences. When it comes to determining if you have poor indoor air quality, it is better to get in touch with the experts. Trained professionals are the only ones capable of discovering the gravity of the situation. They can tell you which is the source of the indoor air pollution and how you can deal with the problem. The greatest thing of all is that the solutions provided are neither difficult nor expensive. If you have a reasonable doubt concerning the quality of the indoor air, contact the professionals.